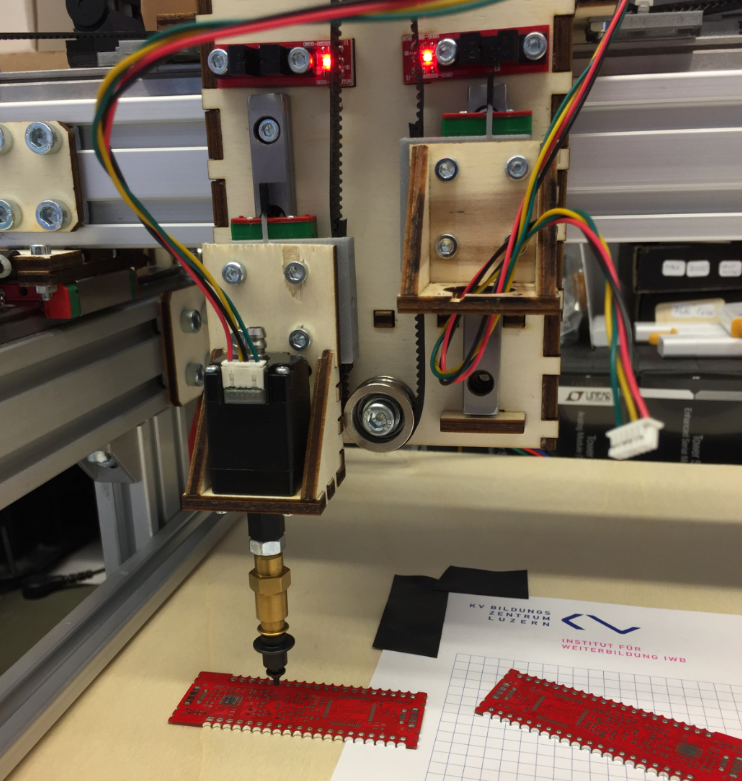 This DIY machine can populate circuit boards with SMD/SMT parts. 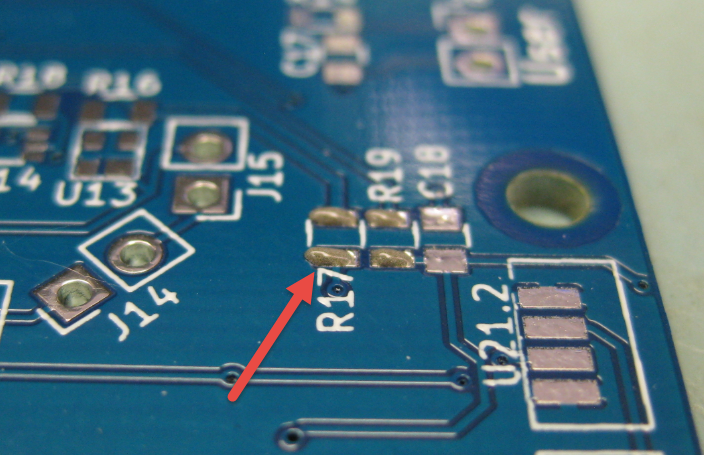 If you are wondering, what this is: it is about putting Surface Mounted Devices (SMD) on a Printed Circuit Board (PCB). 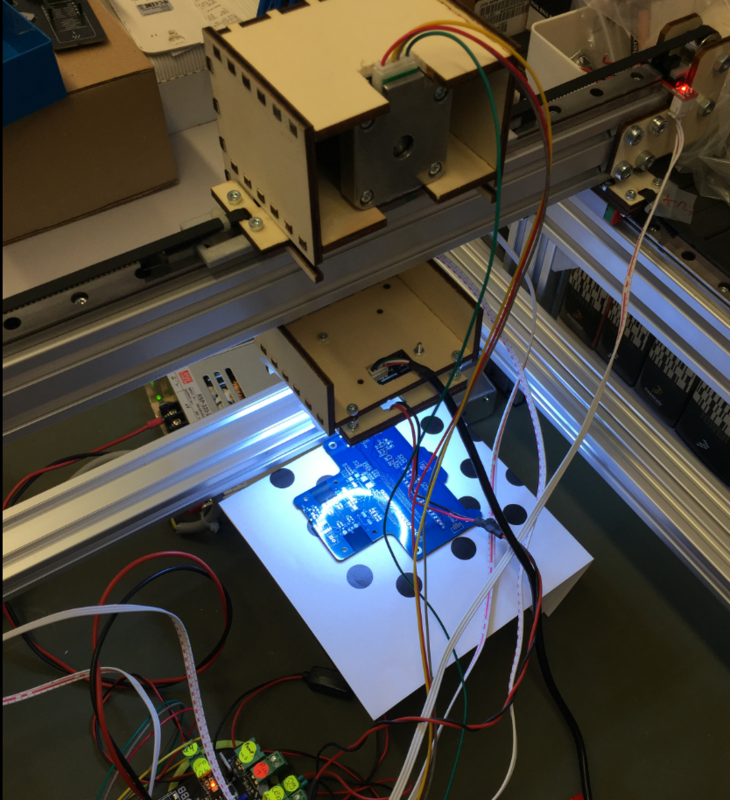 I gave a talk at the Embedded Computing Conference 2018 on this subject (ECC18 Styger – PickAndPlace mit OpenPnP). That’s all working fine. The problem is that this all takes a lot of time. Doing it for one board is one thing, but doing it for 10-50 boards takes too much time. Clearly, for mor than 50 or 100 boards, outsourcing is the logical choice. 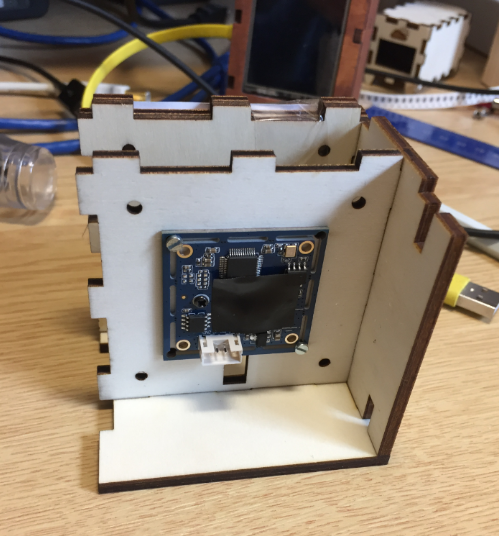 But for a few boards as we usually have to do, outsourcing is not the best option as it is expensive and takes a lot of time too. 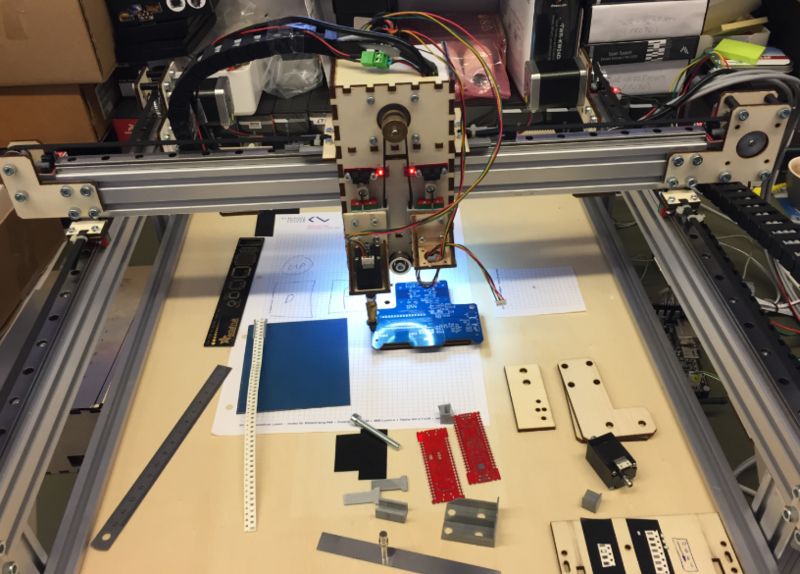 What I wanted is a machine to automate the manual placing of components. 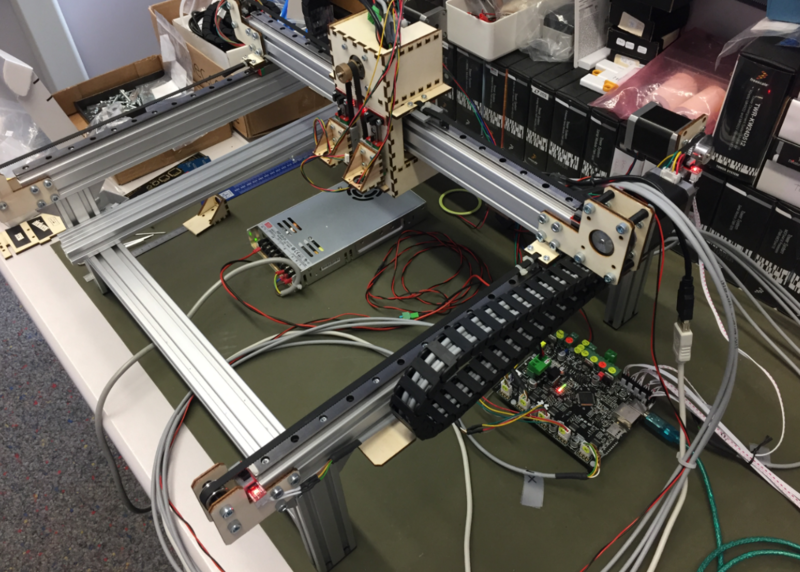 Such a machine is called a ‘Pick and Place’ machine: it picks parts and places them on a PCB. 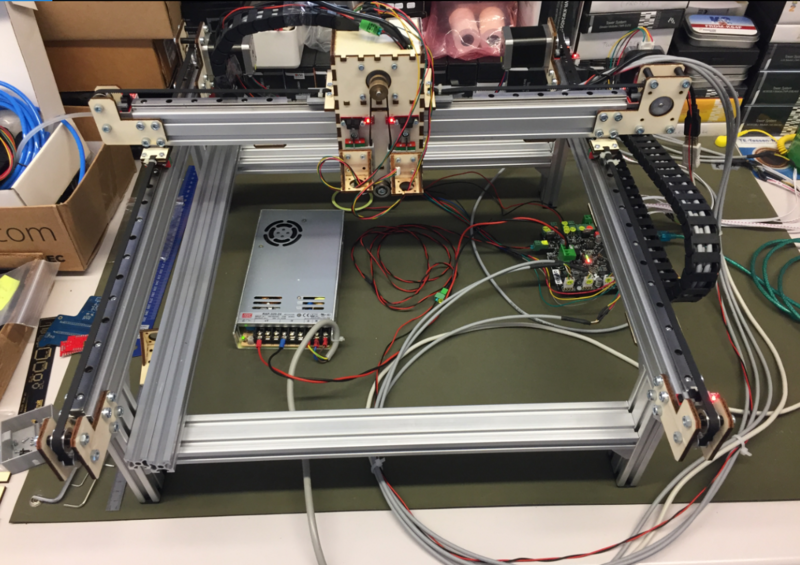 When searching for such Pick&Place machines, I stumbled over the OpenPnP project at http://openpnp.org/: A open source community and project which builds such machines. So I thought: why not building one myself too? And here we go :-). 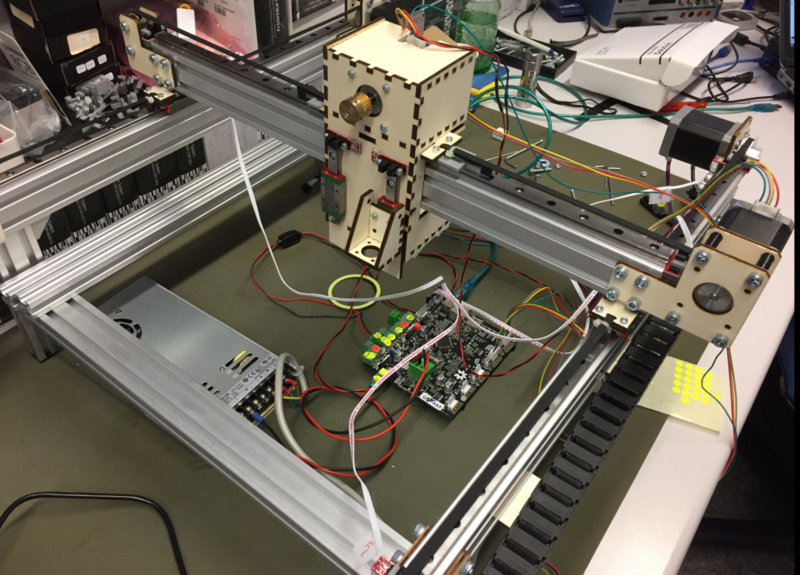 OpenPnP offers a framework to run such a machine. They have guides and tutorials how to build such a machine. And it is up to you how you build it and what features get added. 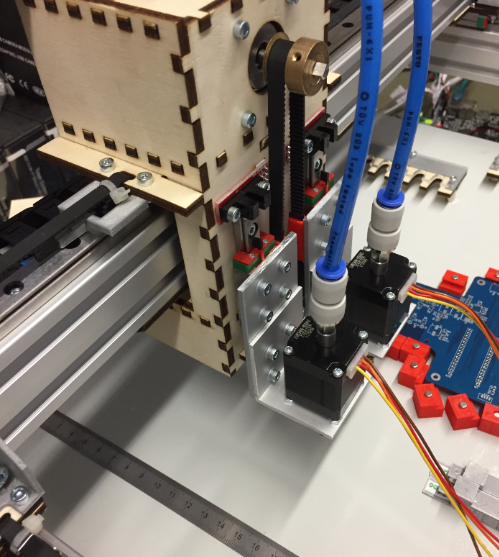 I did not want to build the fastest or the cheapest machine: my goal was to keep the hardware costs below $1000, and that the machine is able to place parts down to the 0402 size. All the software and BOM are available on GitHub (see links section at the end of this article). 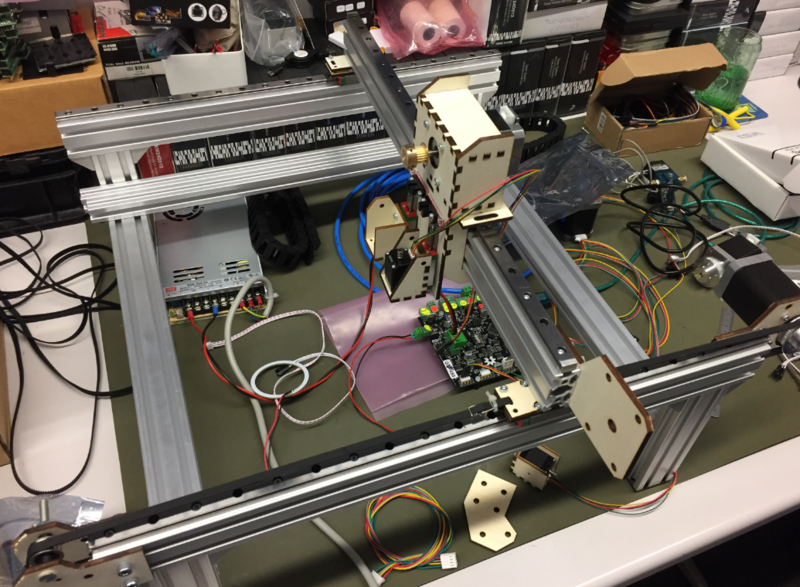 The machine uses 24V stepper motors for X, Y and Z axis. 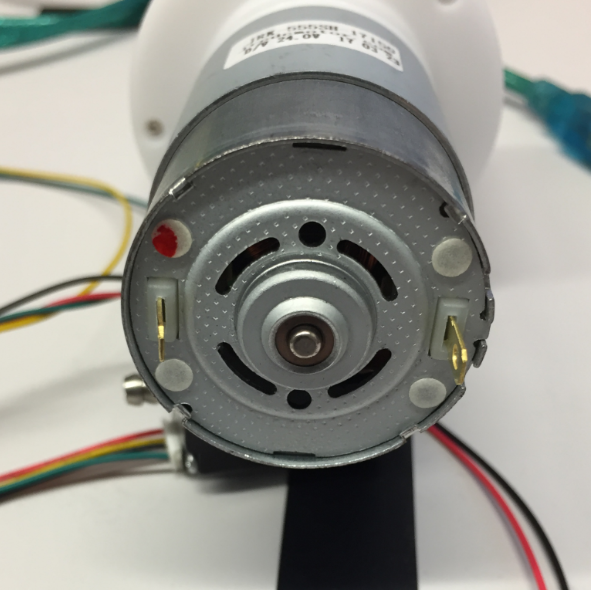 Two smaller stepper motors on the head (C1, C2) can be rotated. Attached to the head is a down-looking camera. 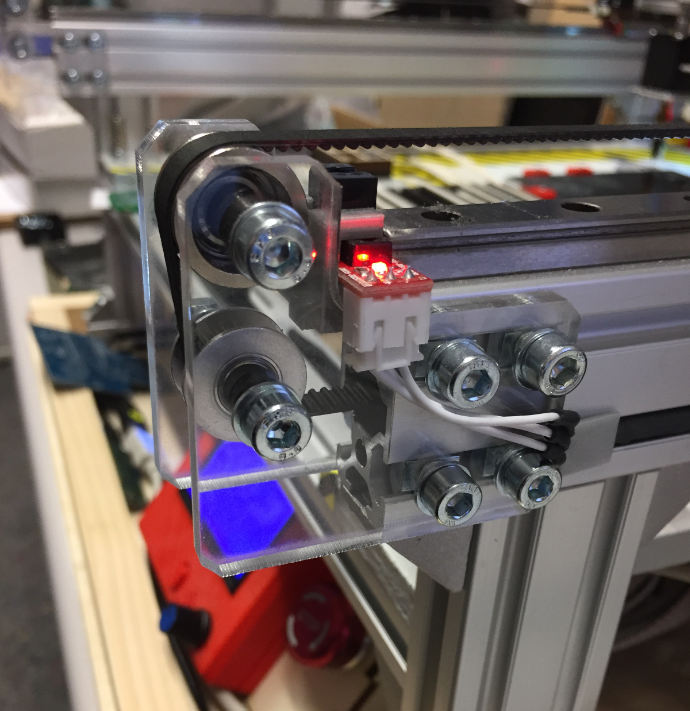 Integrated in the work area are nozzle changers, a bottom camera and different feeders. Under the base plate all the other electronics (solenoid, pump, USB Hub, feeder and controller board with LCD and power supply. 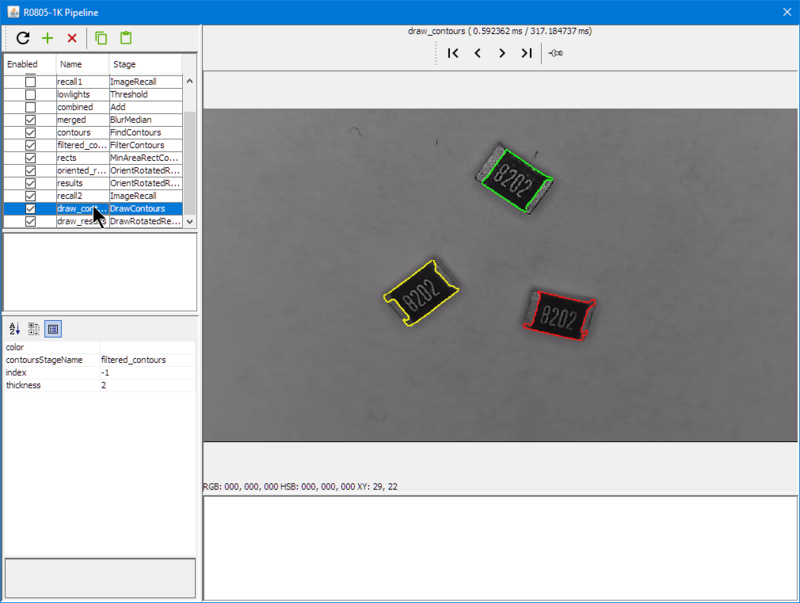 CAD (KiCAD, Altium, Eagle) data is loaded on a host PC running OpenPnP. 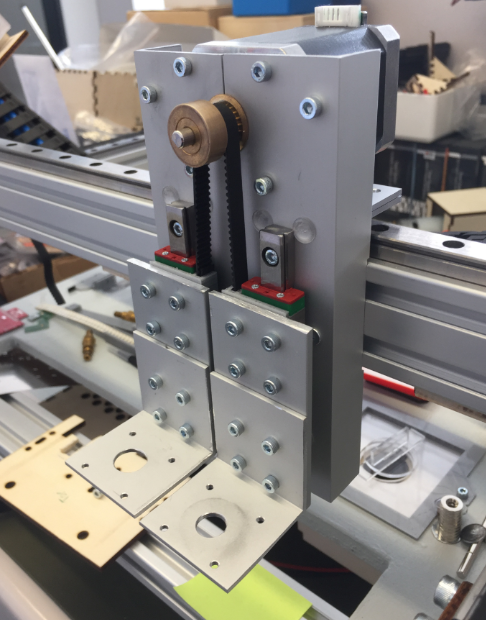 Below are pictures of the machine under construction with some details. 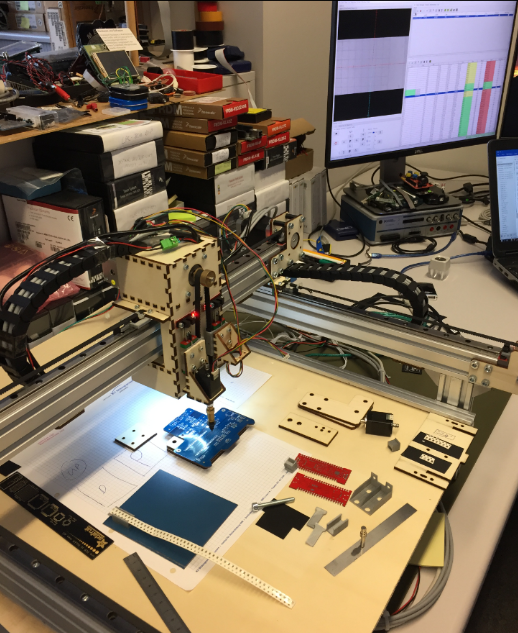 I hope this gives you ideas and an inspiration to build your own machine. The profiles allow an easy construction of the frame. The linear rails arrived very well oiled and in good shape. 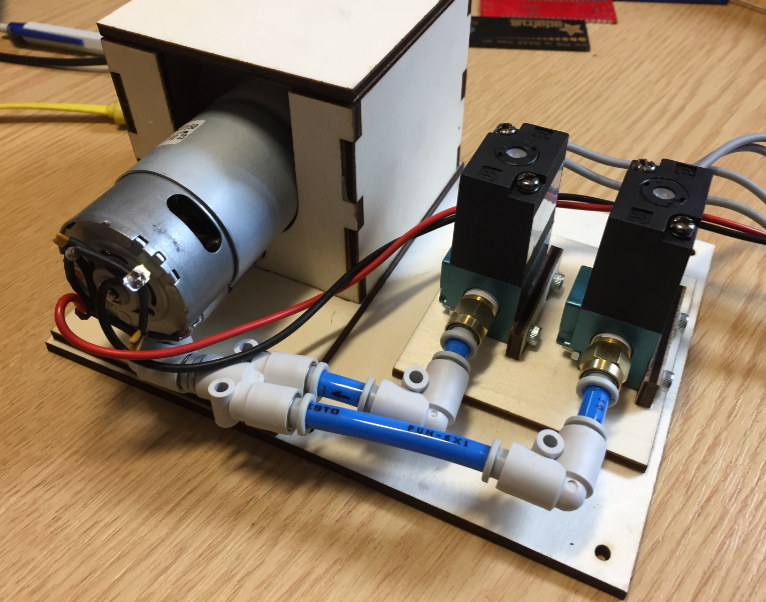 That means the vacuum pump will be on connection 1 and the nozzle on connection 2, with connection 3 used to release the vacuum. 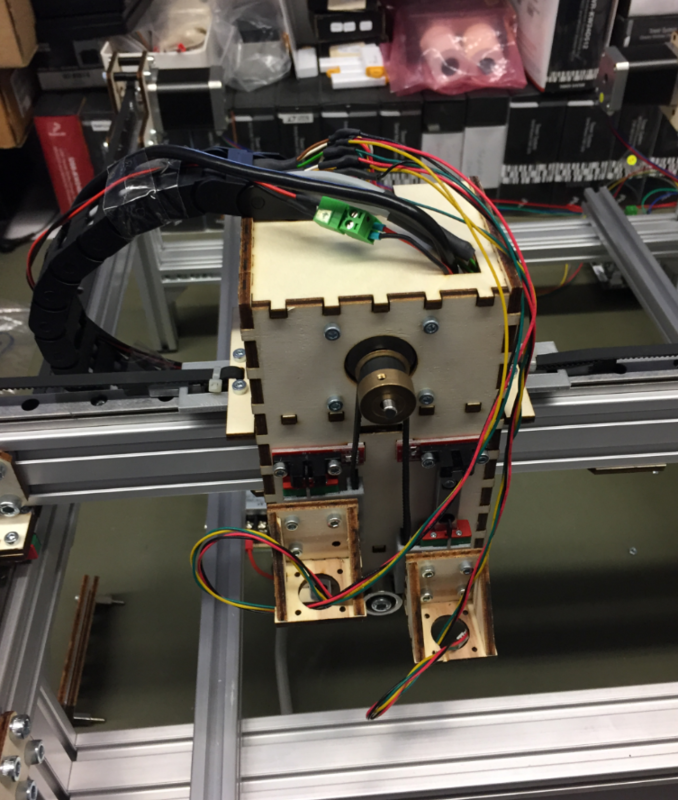 Two stepper motors wired together are driving the Y axis. 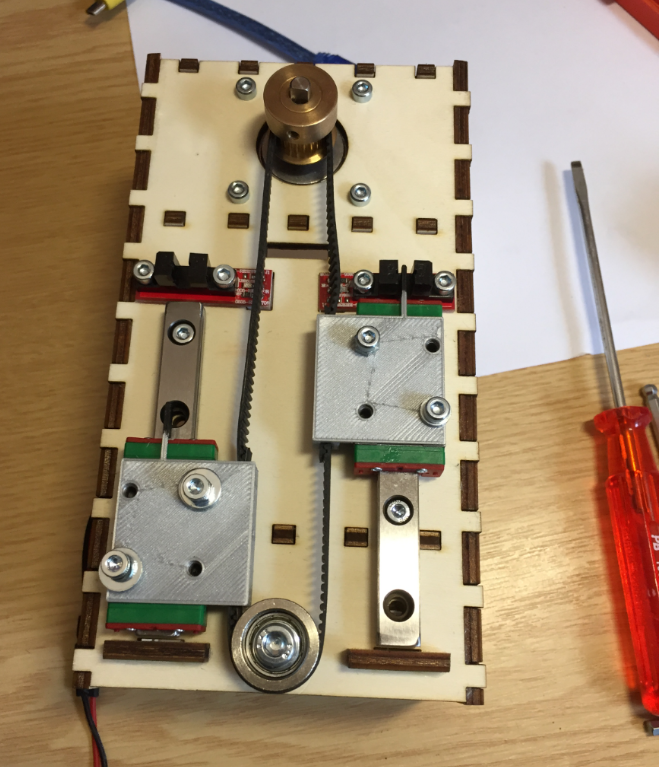 It works, but I would not recommend that approach: better use a single motor with an extended shaft and coupling. 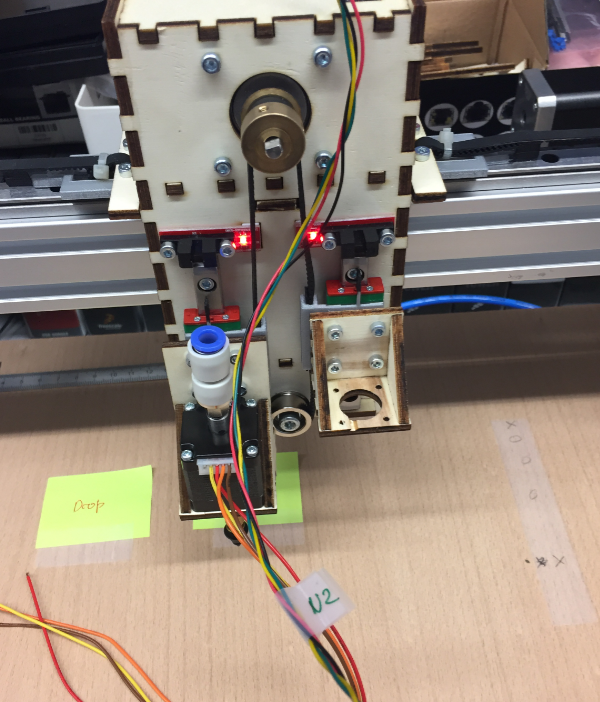 Of course it was an iterative process, and many design ideas did not end up in the final machine. The good thing with plywood is that it is cheap and is easy to construct with it. 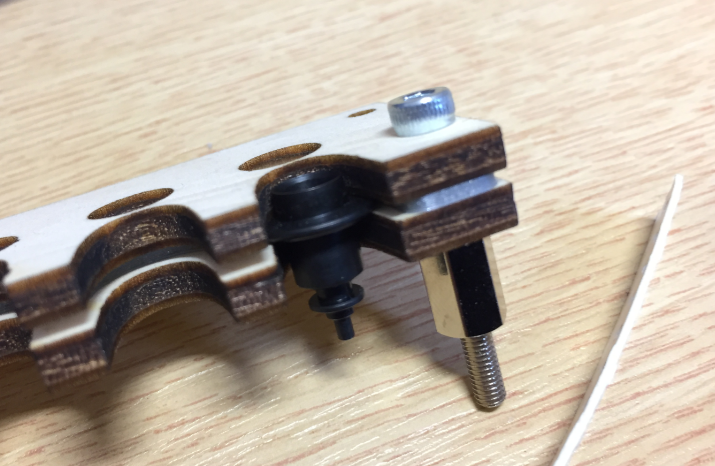 The second version of the pick head was more compact and easier to attach to the linear rail. That way the head was more sturdy than the one made of plywood. 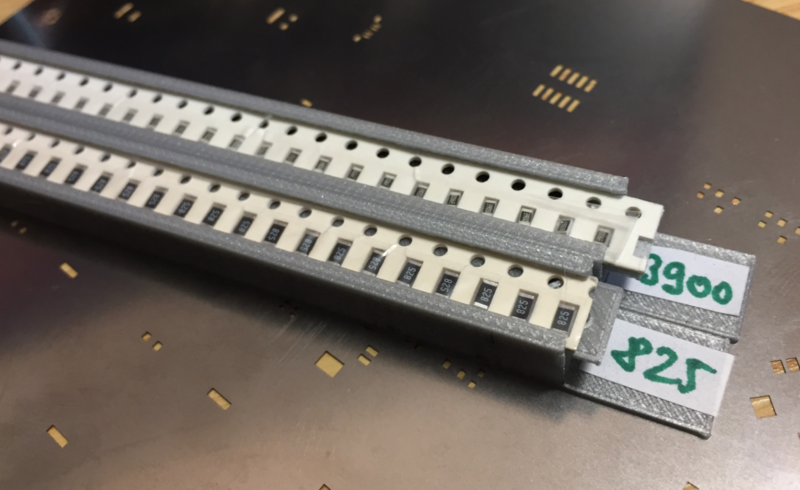 See 3D Printed SMT Cut Tape Holder for more details. The automatic feeder is designed by Simon Huber. 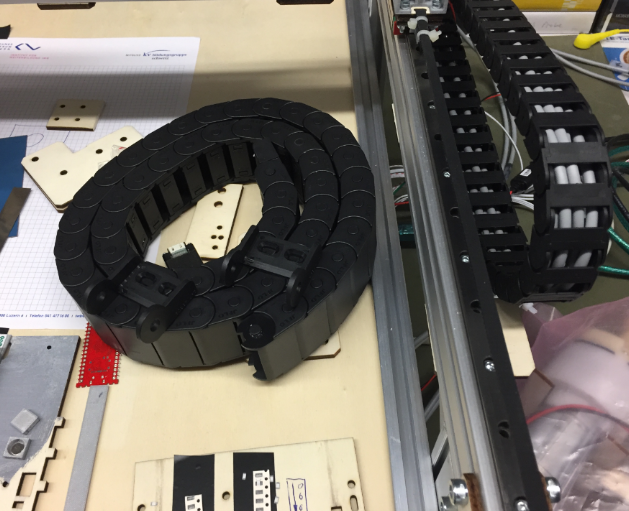 The goal was to create a feeder for SMD parts on rolls. The feeders are in a daisy chain, and the machine has space for up to 16 feeders. 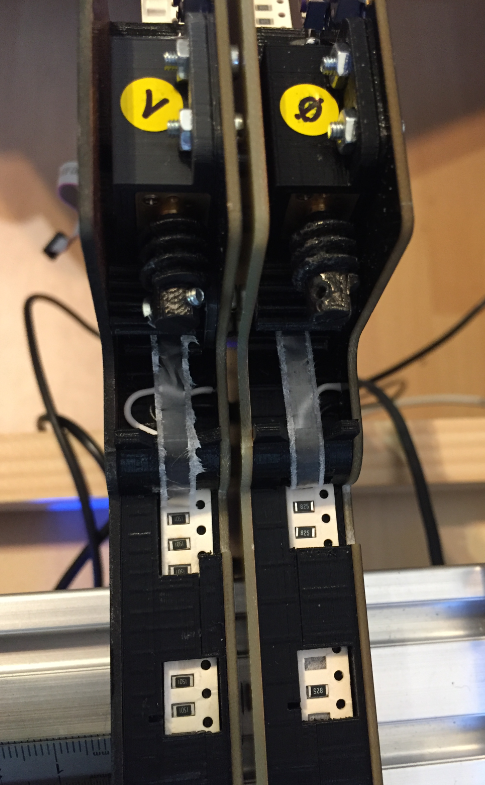 The first nozzle stepper motors did not work well. 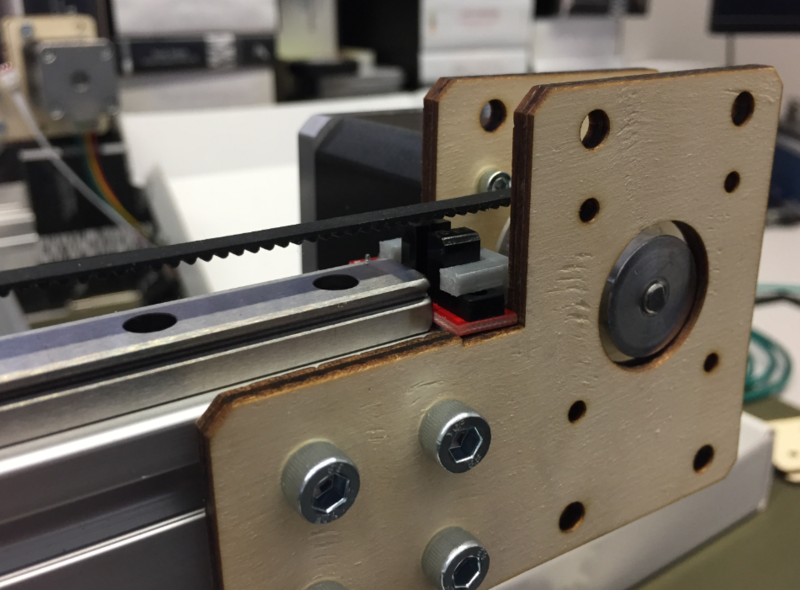 The M5 screw did not match the stepper motor hollow shaft. The designed adapter had too much wobble and was not usable. 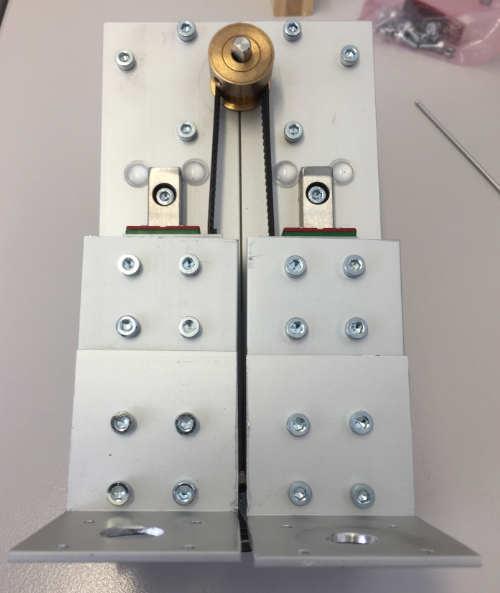 So I had to put aside the nice and small hollow shaft stepper motors. 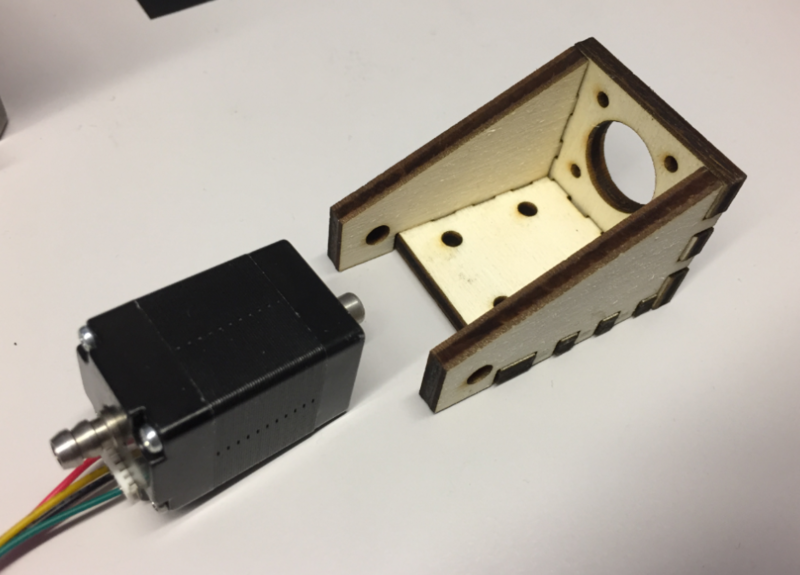 I ordered new (bigger) ones so I can easier attach the nozzle changes and a vacuum tube connector on the back. The new motors had on both sides an M5 screw so I can attach rotation tube adapters and attach easily the nozzle adapter. That larger (40×15 mm) was able to keep all the cables and tubing. 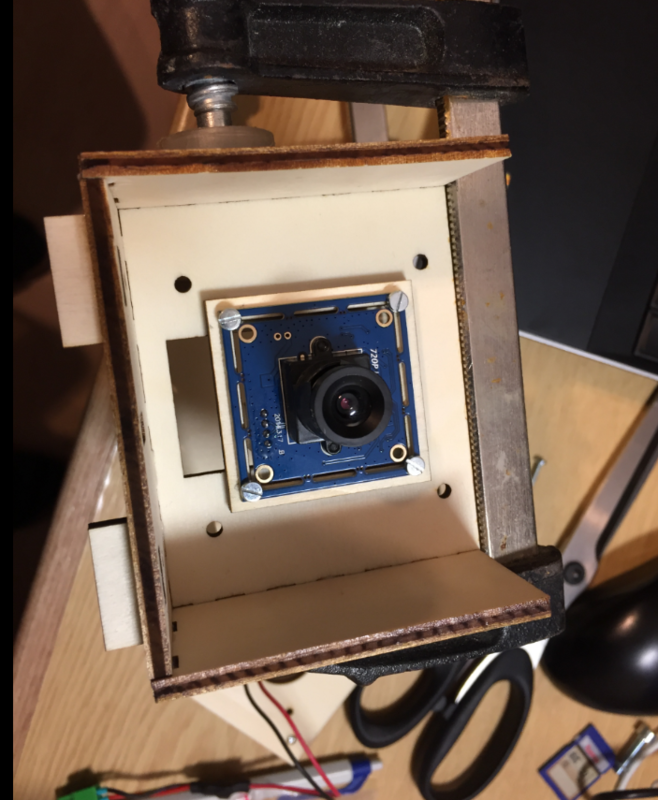 As the top camera has rather small focus area, I need to keep the feeder pick (see “3D Printed SMT Cut Tape Holder“) height and the PCB surface on the same height. 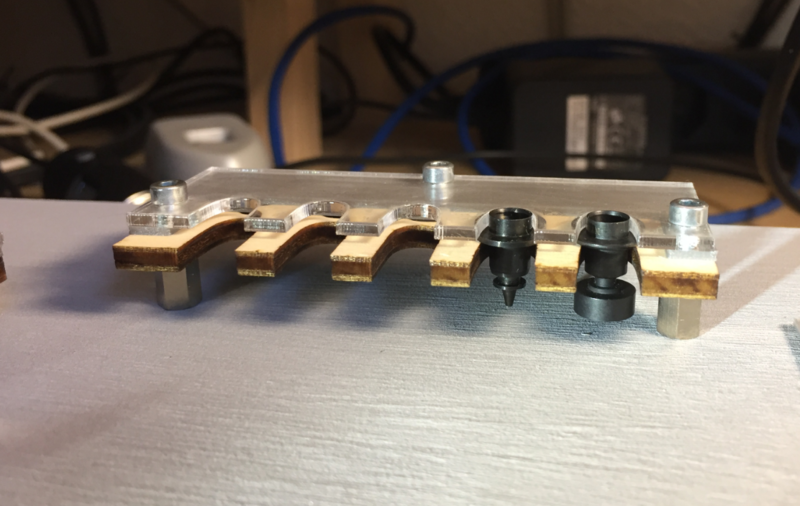 For this I have created 3D printed magnetic PCB board holders. 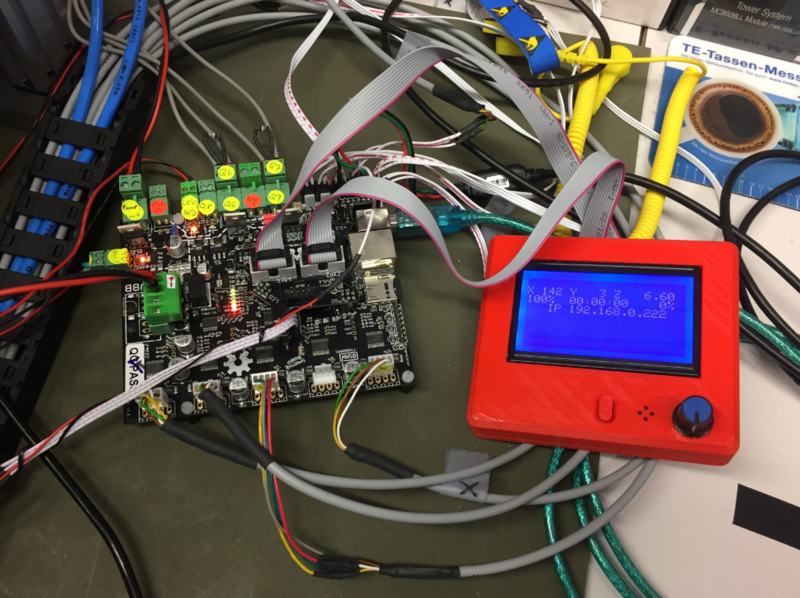 Similar as for my laser cutter (see “Upgrading a Laser Cutter with Cohesion3D Mini and LCD“) I added a graphics LCD to the board. 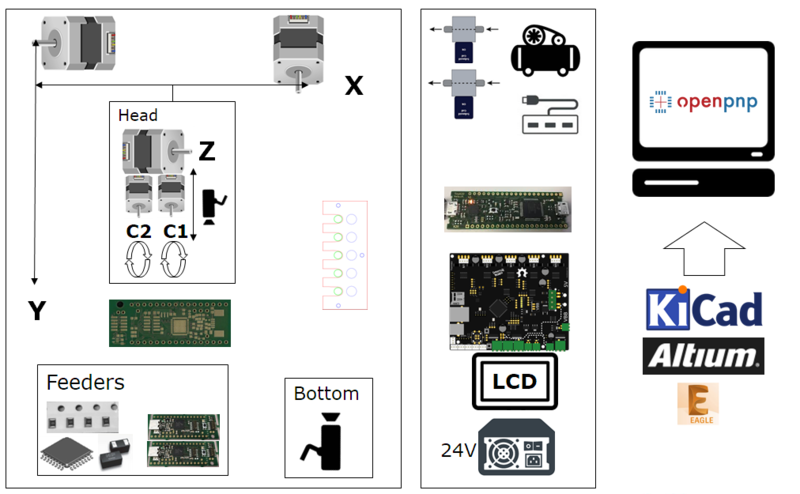 http://smoothieware.org/rrdglcdadapter describes the settings and installation of a graphics LCD on the Smoothieboard. 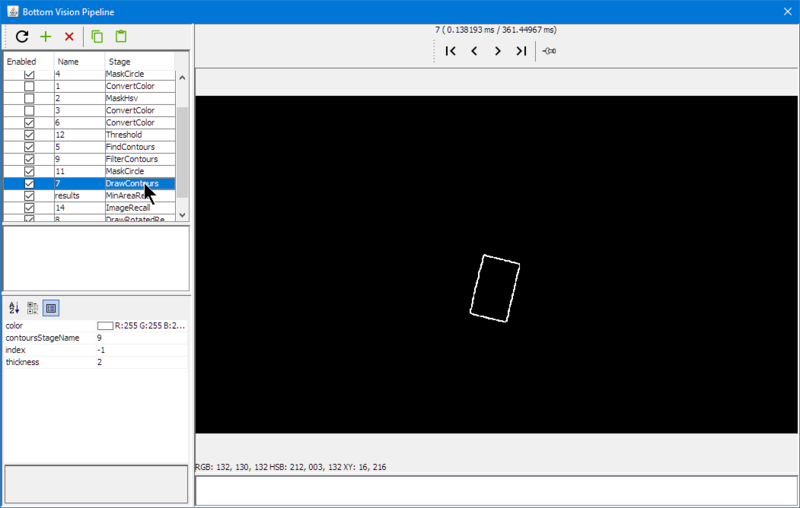 The OpenPnP software runs on the host PC. 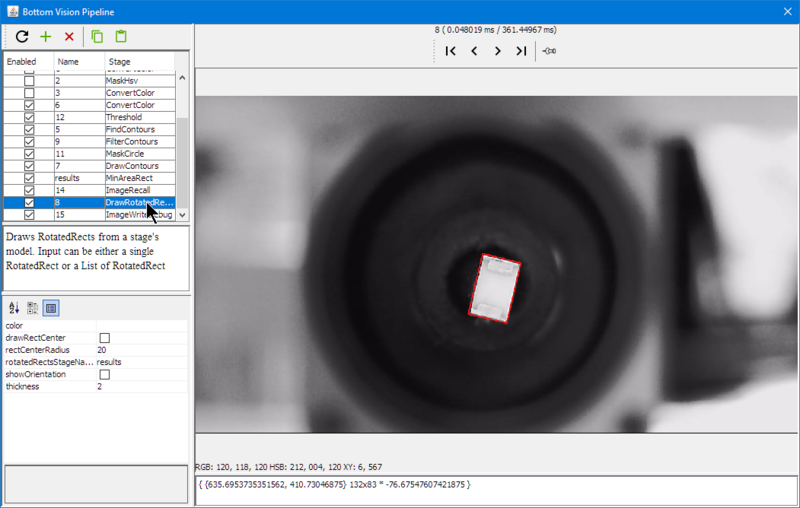 The host PC does all the image processing and sends commands to the machine. 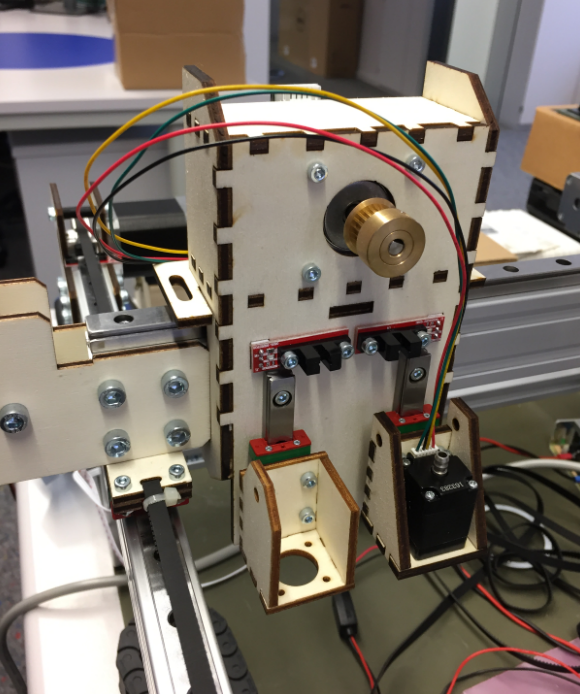 It has been a fun project, and the machine works well, but still needs some tuning. 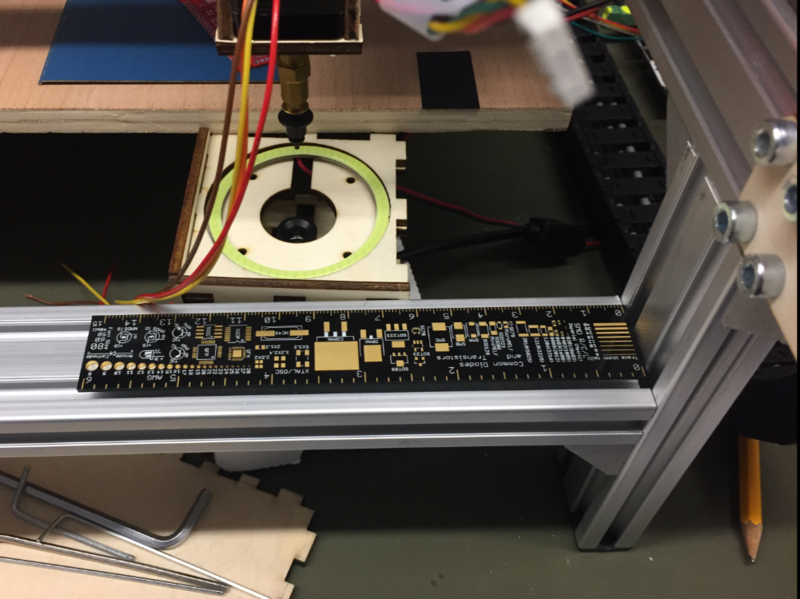 I plan to add a solder paste dispenser: that way, if no stencil is available, the machine can add the solder paste to the pads on the board. 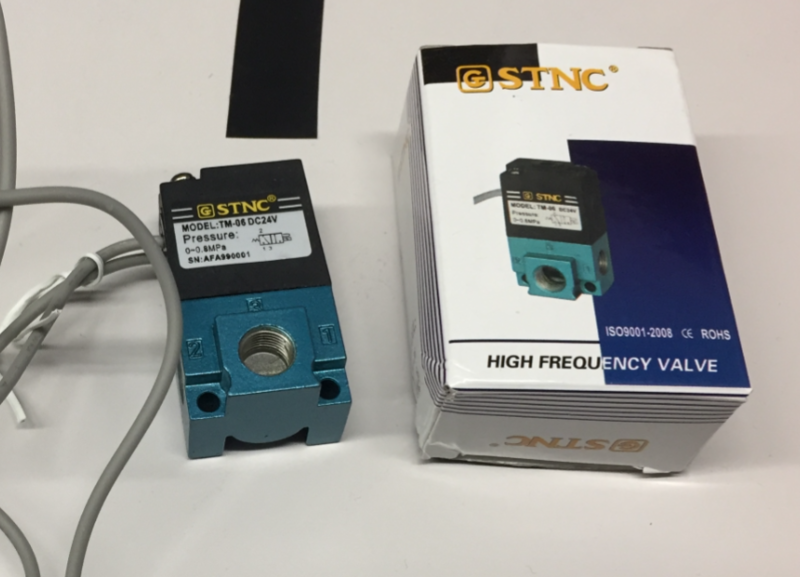 Another thing is to use pressure sensors to monitor the vacuum for each nozzle. And for the motor auto-feeder I would like to update the design. So there is always something to improve. 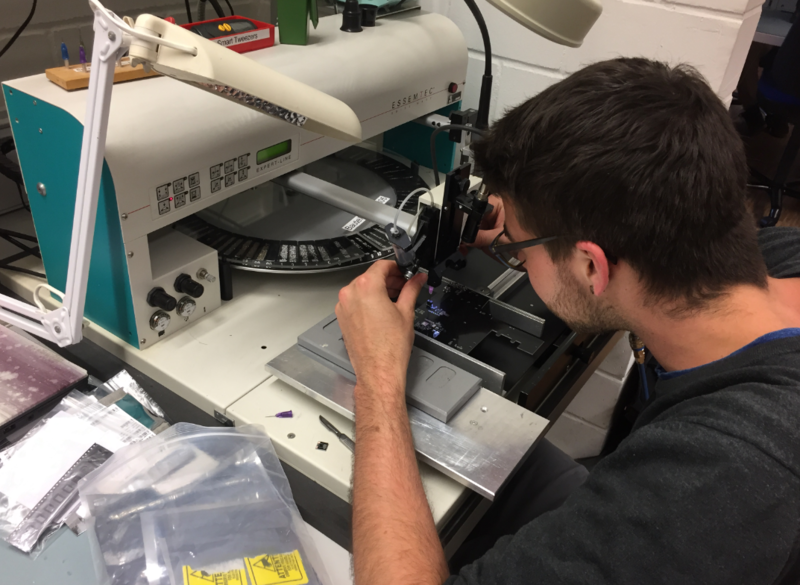 Currently the machine can place around 500-600 parts per hour down to 0402 size. 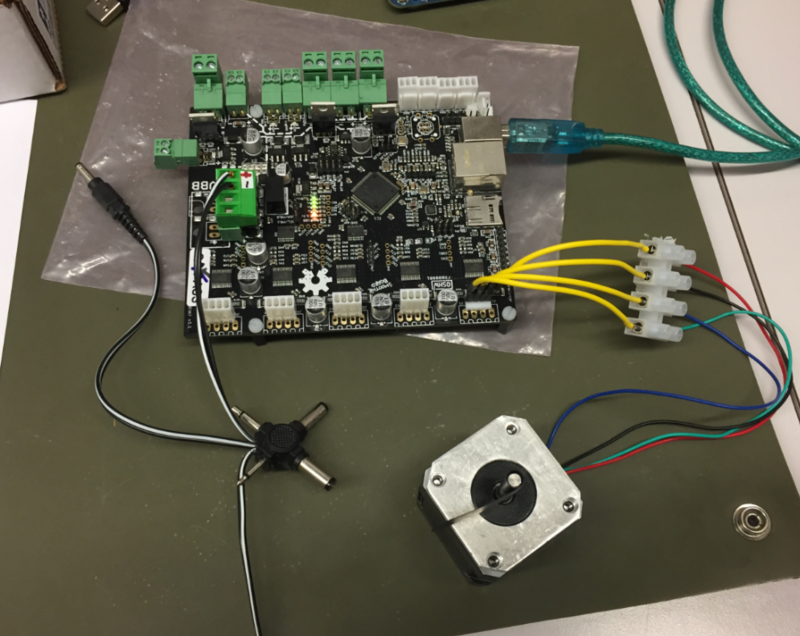 With this and little setup, we can run small board series successfully. 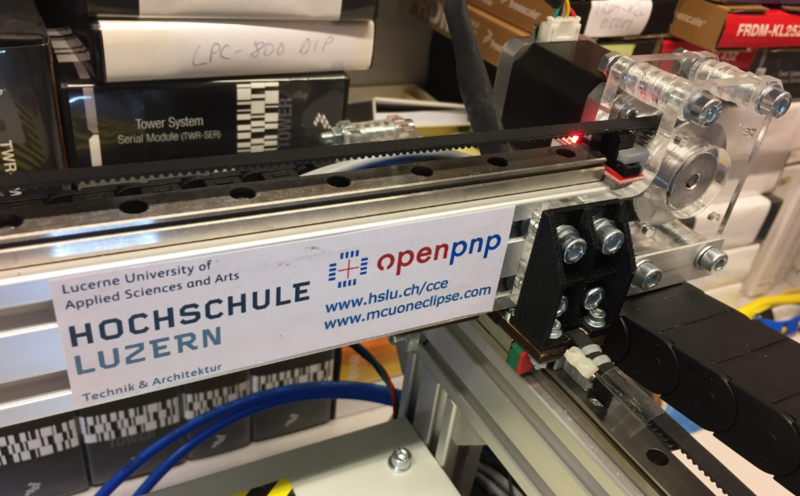 PS: a big “thank you!” to the OpenPnP community: without all their work and contributions, such a project would not have been possible. 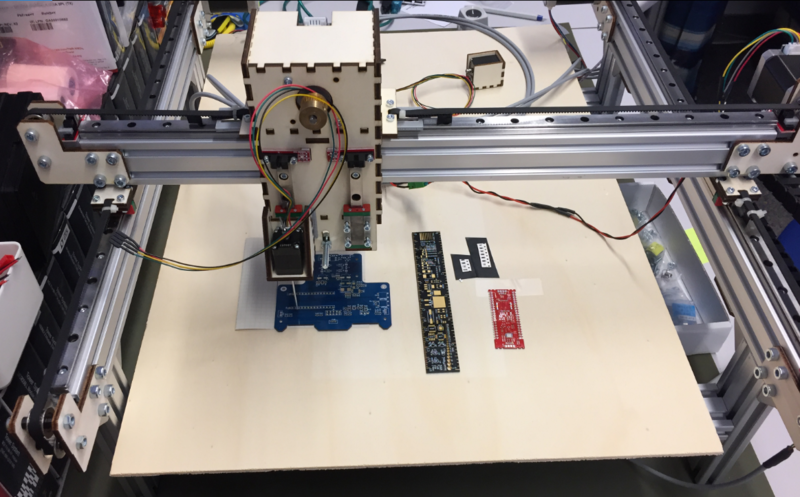 This entry was posted in ARM, Boards, CPU's, Eclipse, Embedded, Laser Cutter, LPC, LPC, NXP, OpenPnP, Pick&Place, Robots, Smoothie, Tutorial and tagged DIY, LPC, LPC1769, NXP, OpenPnP, Pick&Place, Robot, SMD, SMT, technology by Erich Styger. Bookmark the permalink. Hi Erich! That was an impressive project! Congratulations! thank you! And it will continue to evolve :-). Are you have hardware dimension? Hi Erich. This is such an interesting project. I’m always amazed as to how well you document every process from the beginning. Congratulations! Thank you! In retrospect I should have taken more pictures or even document it better. 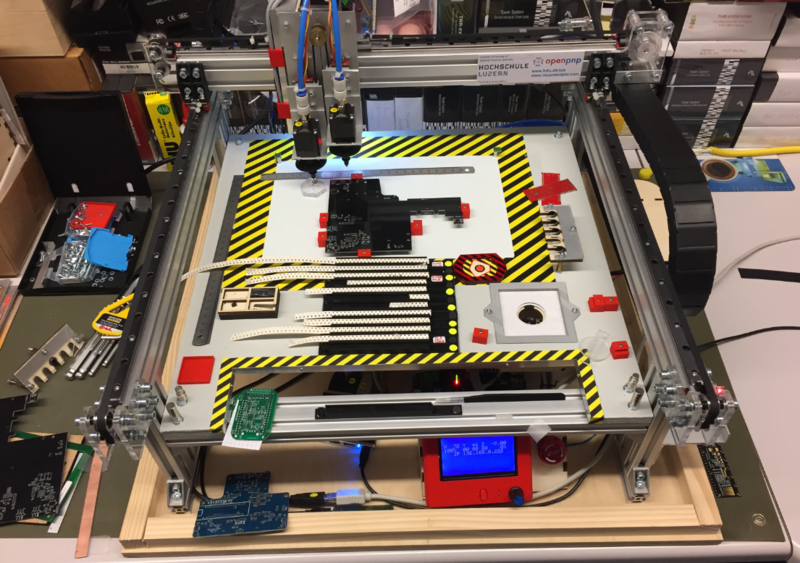 I hope the files on the GitHub site gets everyone a good start who wants to build such a machine too. 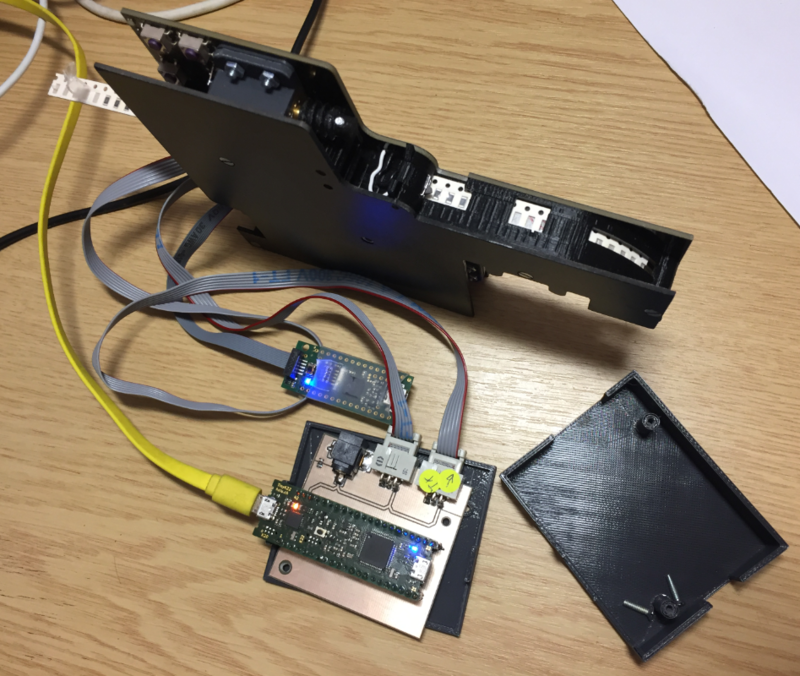 You might be able to run your commercial machine with OpenPnP too. Thank you for sharing all project. It’s awesome. I followed on twitter. I see that it is possible to use from 0201, this is ok for me. 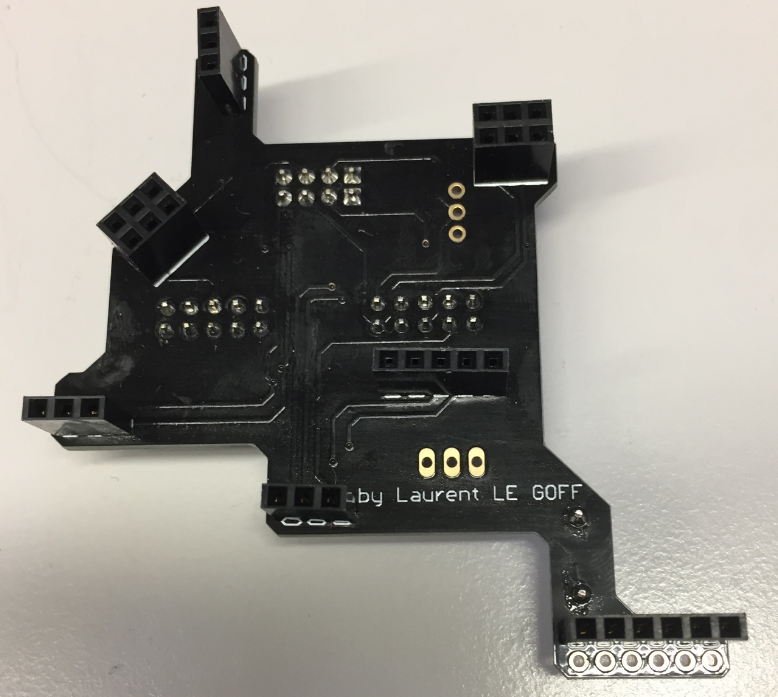 But is it possible to use MAP-BGA169? + one BGA Inspection Tool, as ERSA or BGA-100. 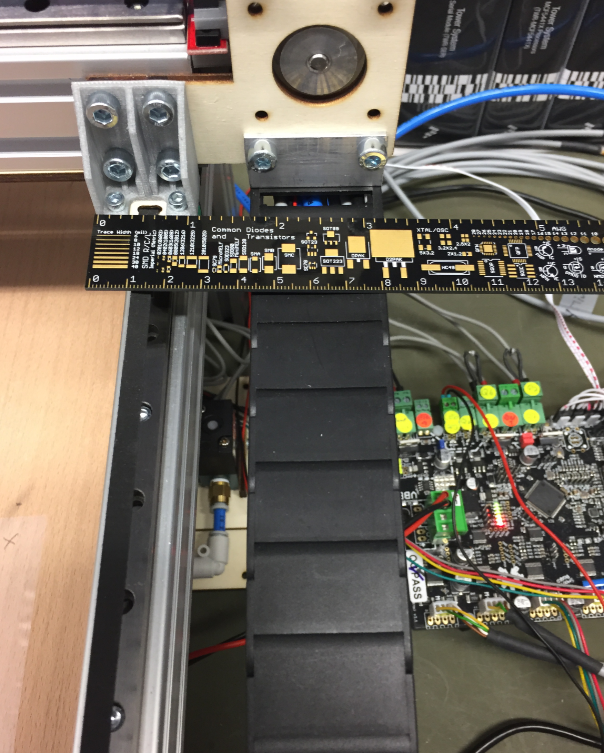 0402 works well, but 0201 depends on your board and good calibration of the system. 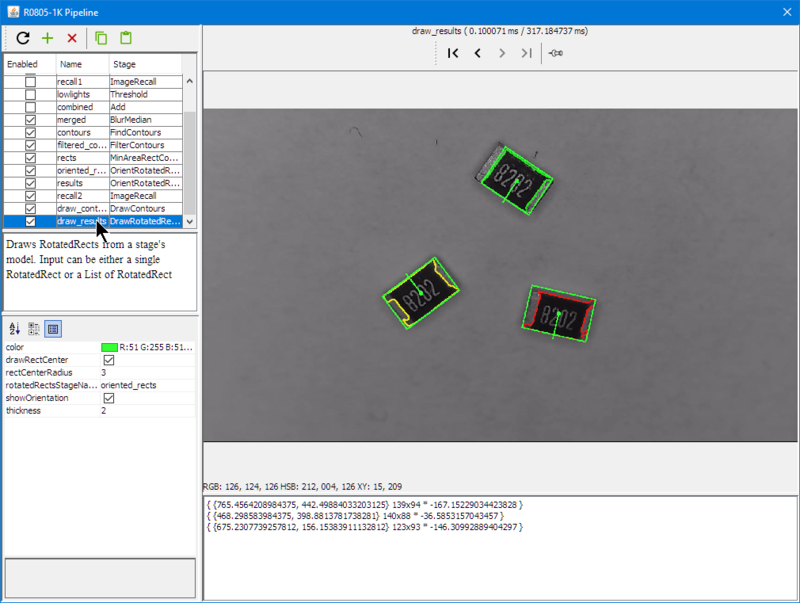 I have not used it for any BGA packages, but typical QFN packages work well. 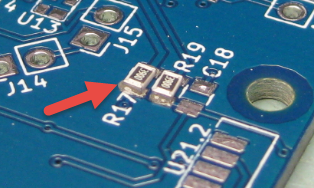 So I’ll use 0402, I only use 0201 resistors to 2 leds but I think that I can to change for 0402. The rest is 0402, 0603, and 0805. 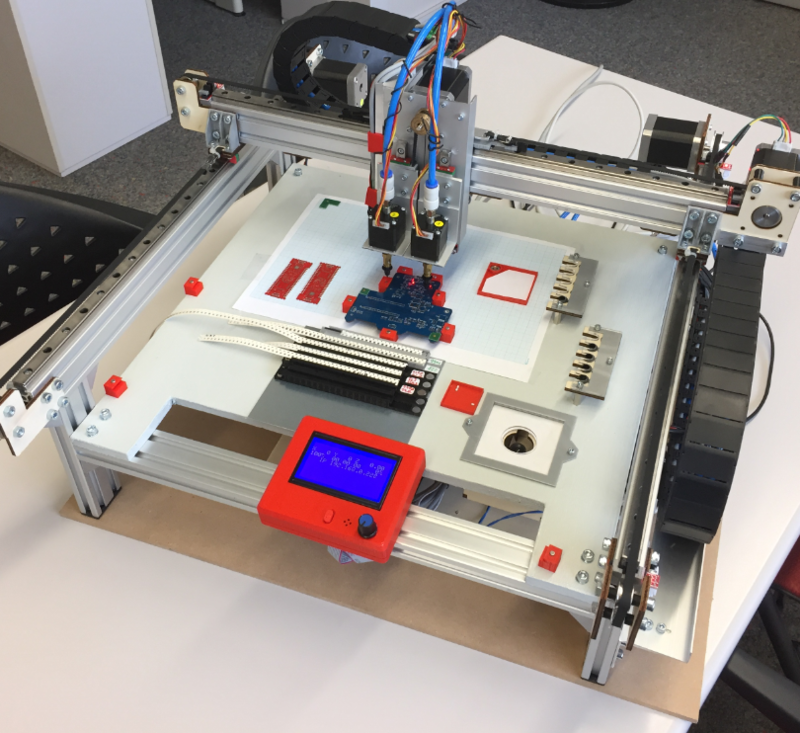 I have seen the ultimaker 3d printer to placed bga chip, I think that with yours design it’s possible. 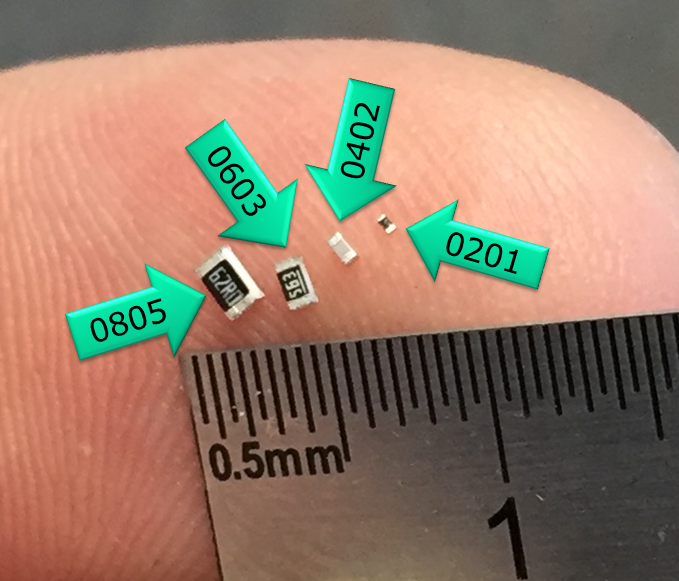 Well, “placing BGA” does not really mean much. It is all about how accurately the machine can place components.This is basically defined by the size of the pads. 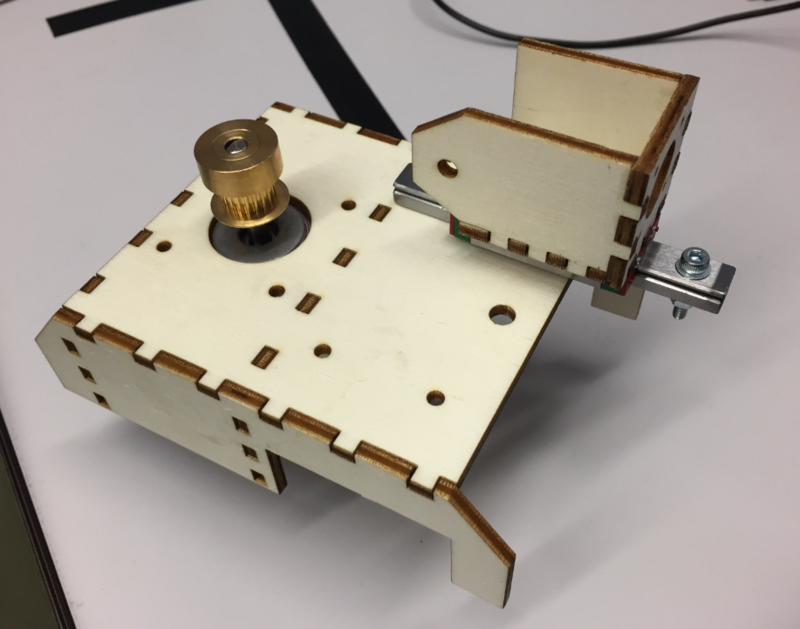 Have you made progress on the solder paste dispenser? 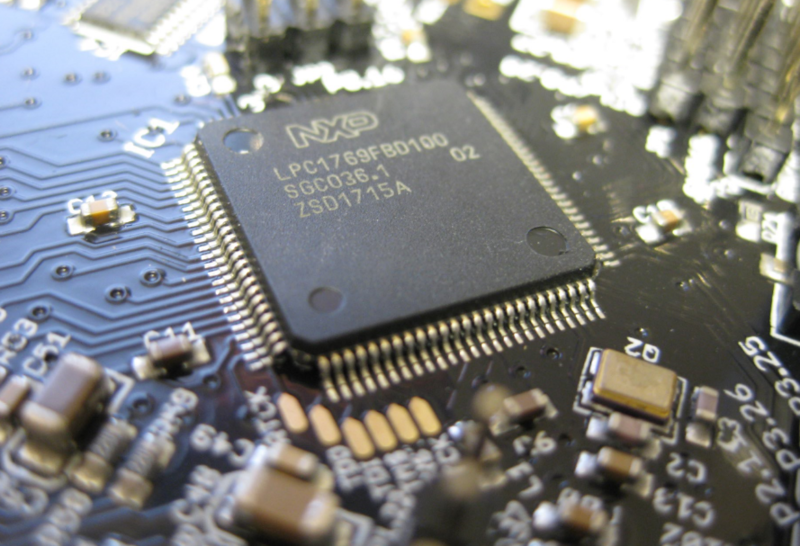 I plan to use T3 and T4 from Chip Quick, SMD291 family. The 3D model is for that syringe? Is an air pump necessary? 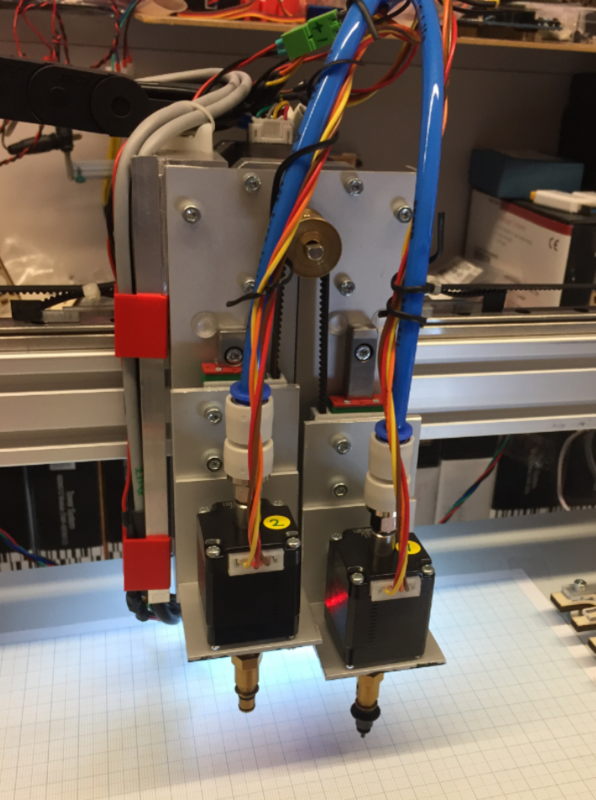 Design a pcb in kicad that serves as a support for the syringe and for the stepper motor I think it would be ideal, without using 3D printing. that first air compressor looks like really big and noisy (not sure). 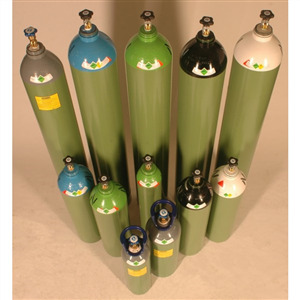 We do have compressed air available in the lab, so most likely I don’t need any extra pump. Or using the vaccuum pump in reverted mode I’m using for the PnP machine. Not much progress, will continue on that in a few weeks I hope. 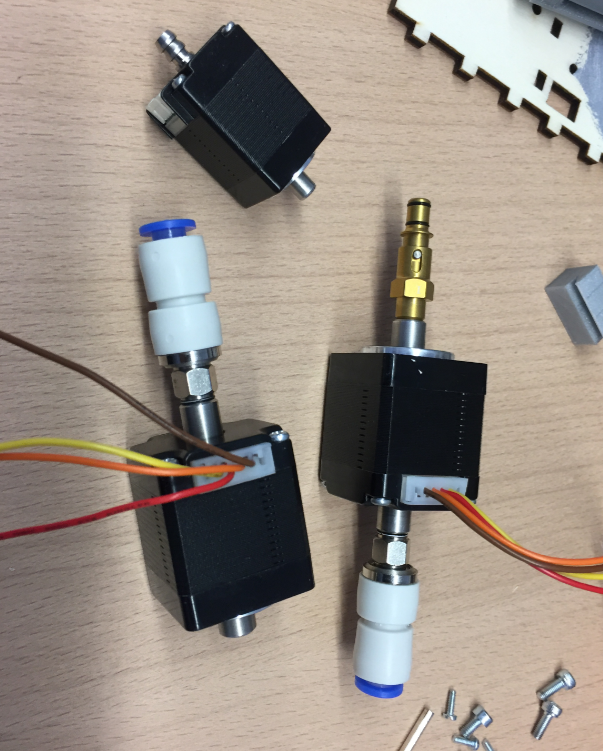 What I have done is creating holder for the Auger pump and an adapter for the stepper motor. And yes, it requires some amount of air pressure too. 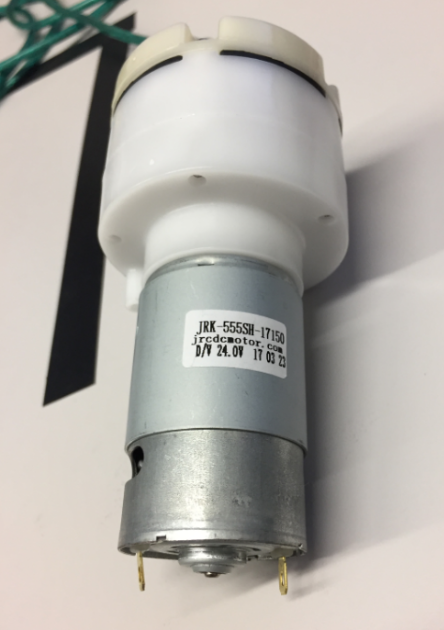 I have found the syringe of the motorized project, from Nordson website, In case someone is interested, I was looking for them but in the pharmacy the ones they sell are different. 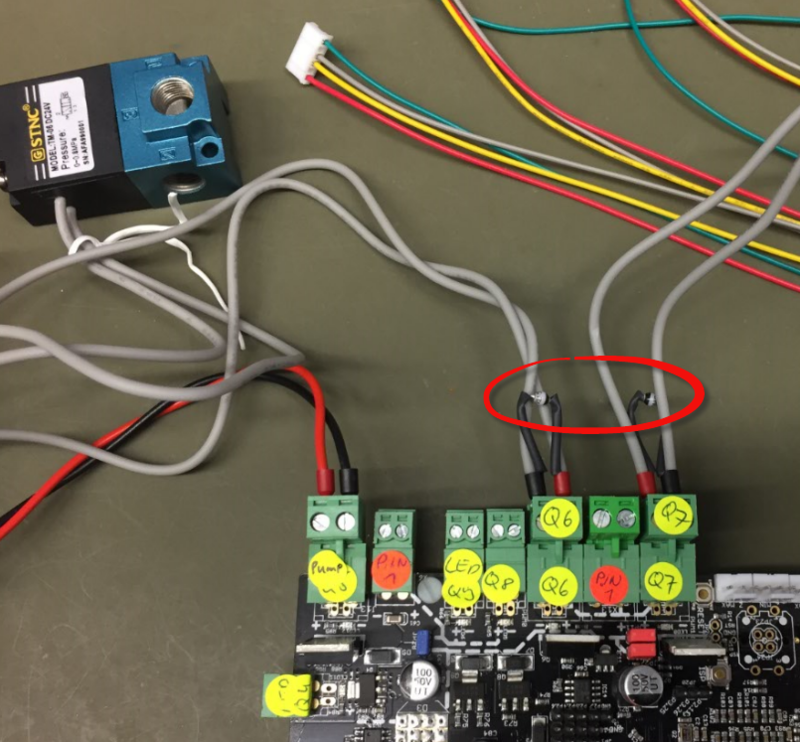 I think the problem with all these approaches is that the put pressure on the whole solder in the reservoir, instead pumping it out in a reliable way. 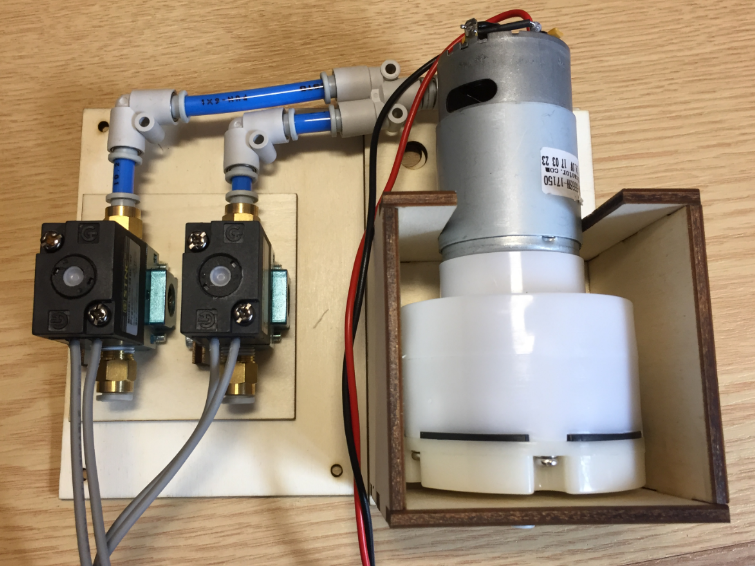 To me, still the Auger pump way should work much better? Finally I bought an stepper motor and 30ml syringe. 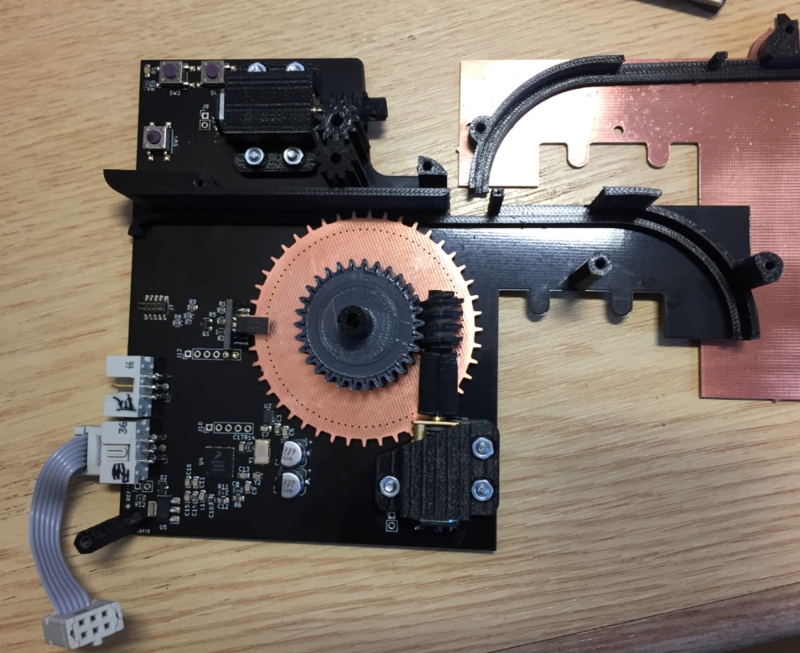 I’m going to try the stepper motor version. 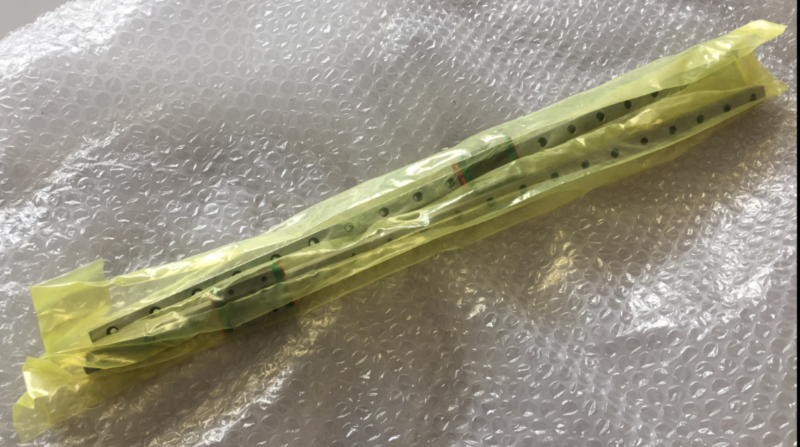 I am going to try this piece that has 22mm of exterior and it is possible that it enters the 30cc syringe. 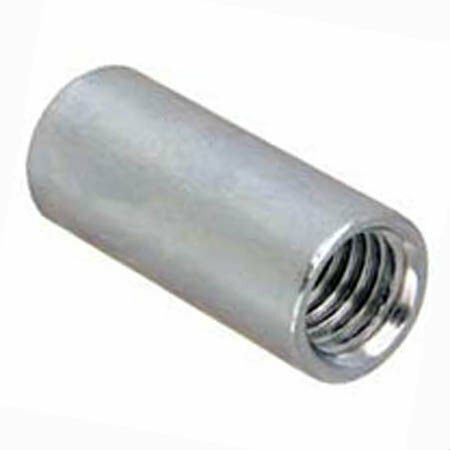 If so, with two pieces of these and some screws it is possible to build the piece of the video without using a lathe. 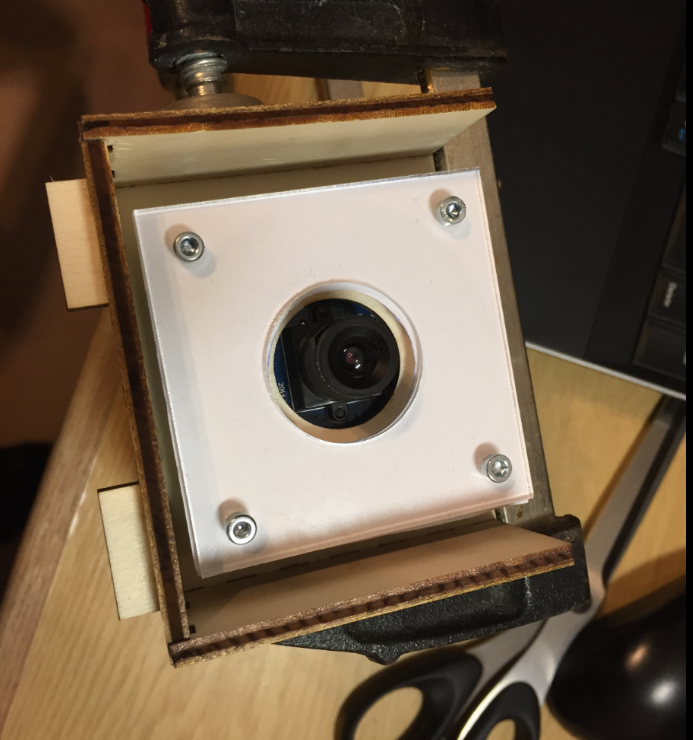 I have an IP67 hermetic aluminum box and I am going to fill it with armaflex, I think it could reduce the noise a lot. You can update the next in the hardware doc? I do not understand what this is, the url is a rail but there are no measures of 38cm. 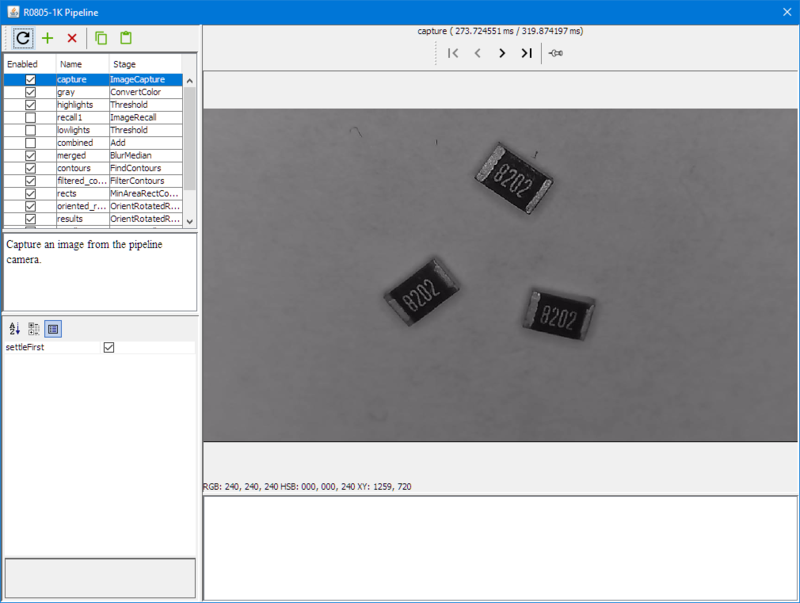 Line 28 – USB Cameras –> Which is the size of the focus? I have updated the BOM file on GitHub. 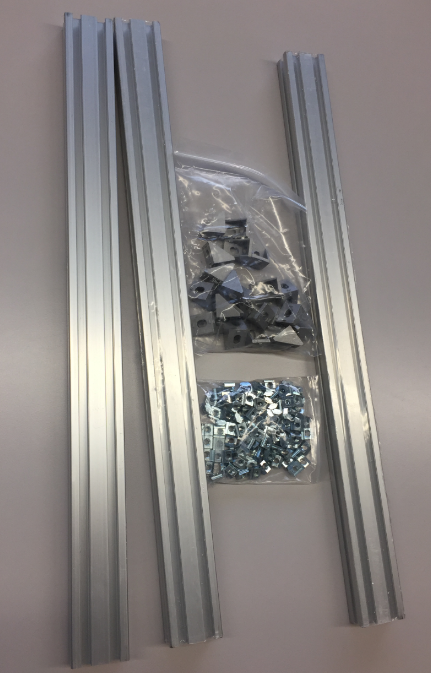 As for the aluminium profiles: if you don’t get the exact size: order a longer one and cut it. For the camera I ordered them with a 6 mm lens. The Cross Support is optional. It can be used to strenghten the base plate. If your base plate is very solid, you don’t need it. https://mcuoneclipse.files.wordpress.com/2018/05/mounted-on-baseplate.png?w=584&h=411. 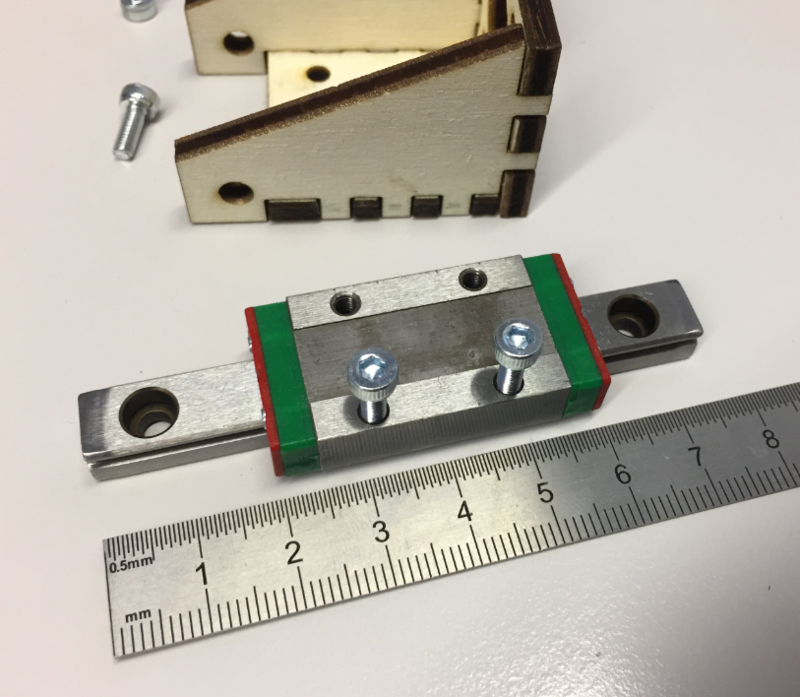 Corner mounts are used to tie the feets to the 2020 profiles, and the 2020 profiles are attached to the wooden base plate. As for all these ‘commodity’ items: there are many other sellers of these too. I have bought all the pieces, they are on the way. 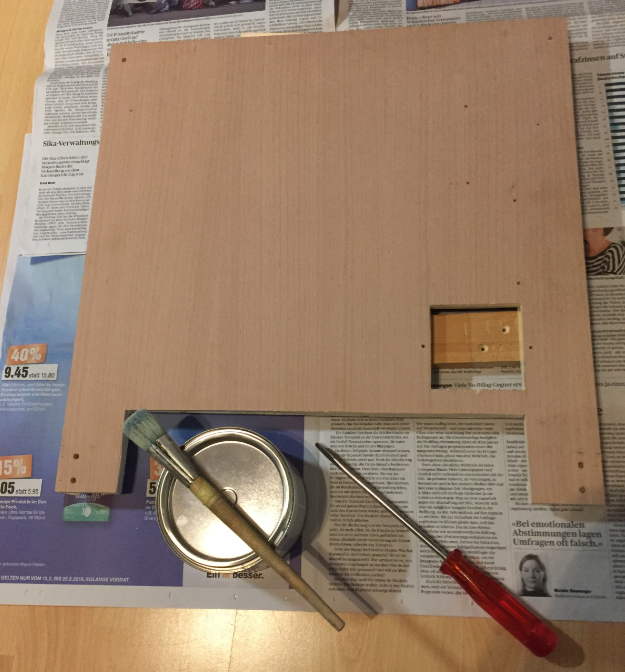 I am doing the pieces with a drill and a jigsaw and with wood and aluminum. 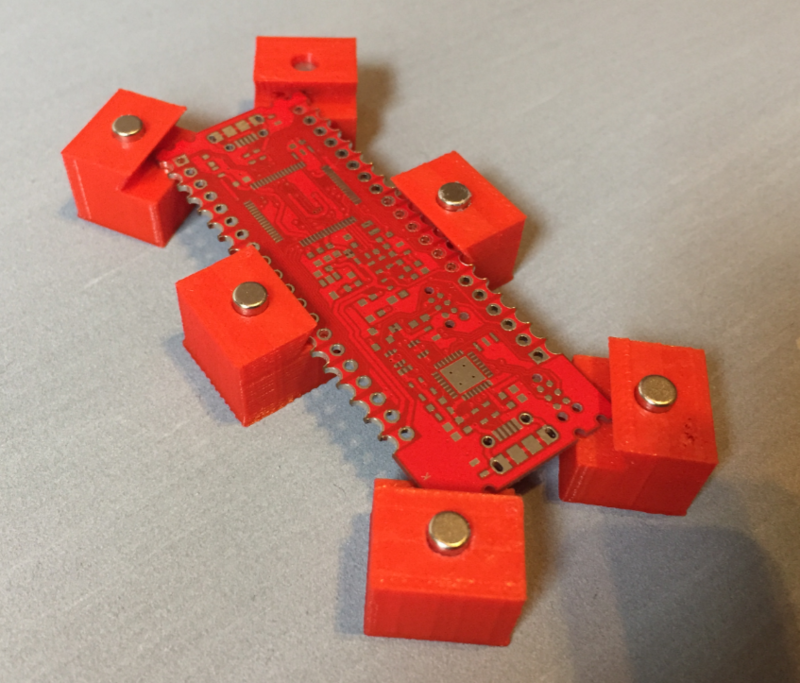 I do not have a 3D printer or CNC. 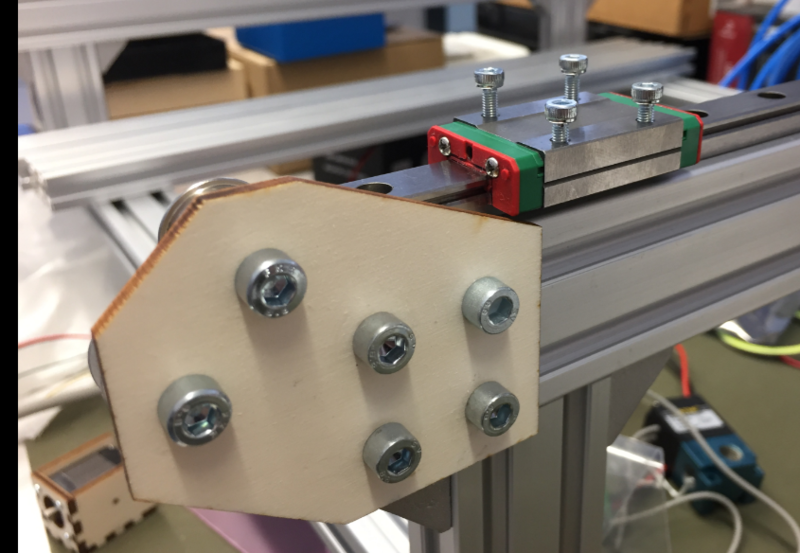 Can you share a image of the new pick head made in aluminium? Also how you placed the endstop and the top camera. 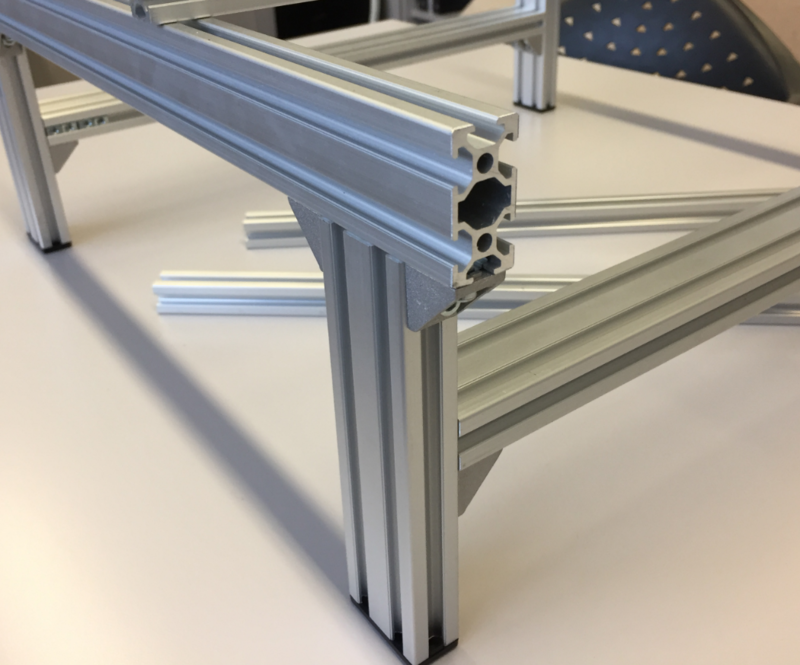 Also can you share the sizes of the aluminium profiles that you used? I want to go now to the polygon to look for some scraps. Not sure what ‘new pick head’ you mean? https://mcuoneclipse.files.wordpress.com/2018/04/alu-profile-head.png shows it, there is no magic behind it. 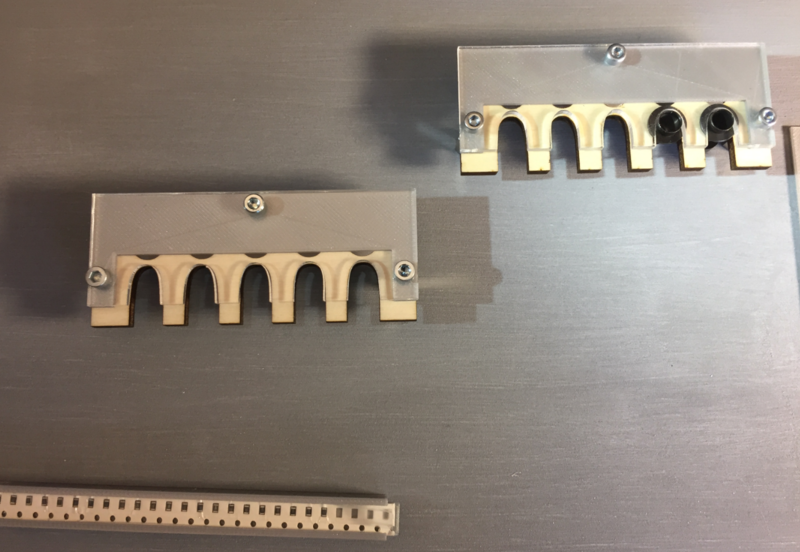 Just two L shaped profile on the front and two other L shaped ones on the back to mount it on the linear rail. 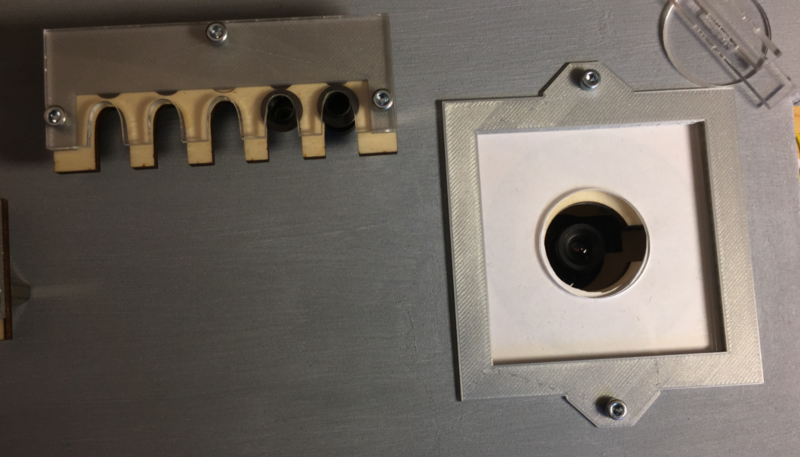 Top camera is mounted the same way on the back of the head as shown in https://mcuoneclipse.files.wordpress.com/2018/03/first-camera-holder.png?w=584&h=619, just with another L shaped profile attached to the head. Yes, it’s L profile, but what thicness did you use? Thickness does not really matter, as long as it is stable enough. 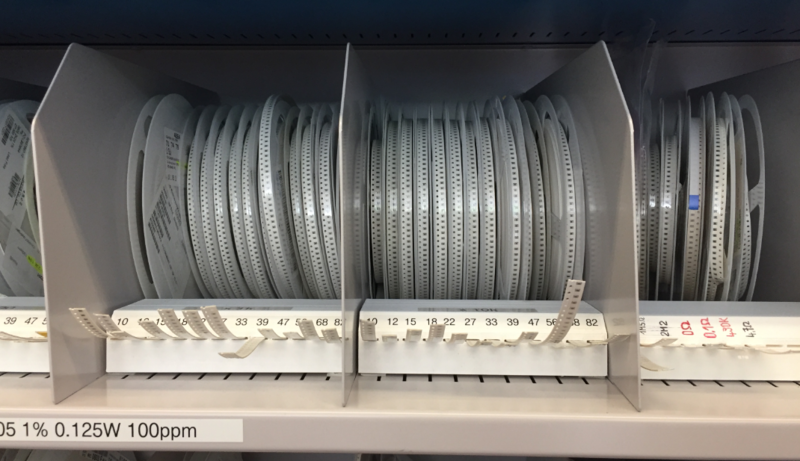 Use 1 mm or 1.5 mm or even 2 mm, whatever you have available. 20T 5mm_Toothed are 6 units instance of 4. I have added a note and updated the file. 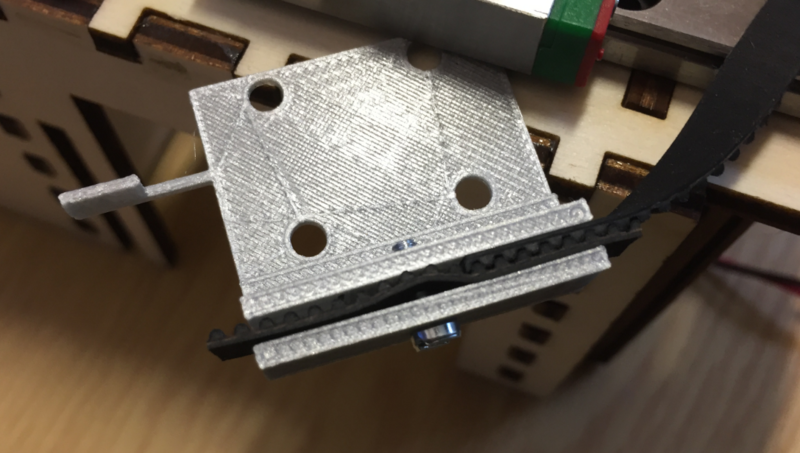 You need at least 3 (one for each axis) depending on how you do the belt. Today they called me from TNT and tomorrow they delivered the package with 4 units, yesterday I ordered for 2 more but today I will have to order 1 more. If is 3A but it’s 50V Io-3A schottky instance of 100V Io-2A avalanche. 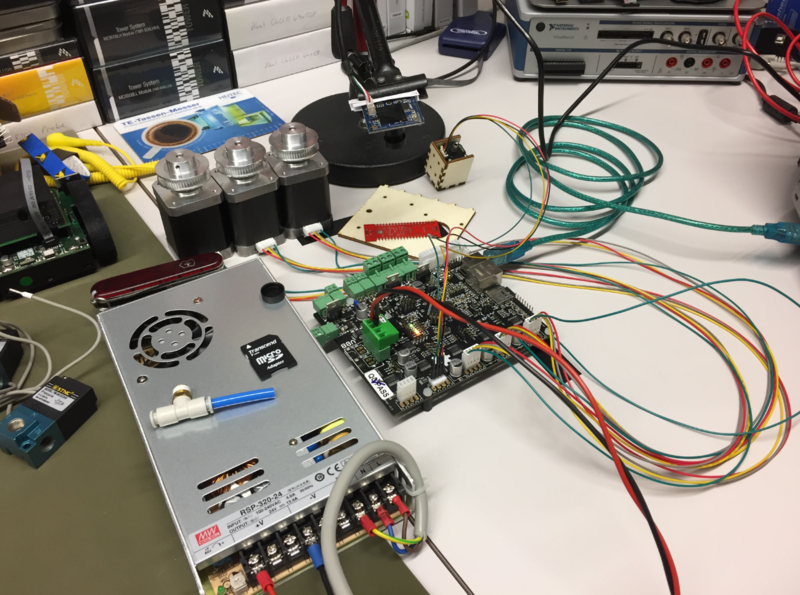 You need good flyback diodes, so I recommend the BYV27-100. 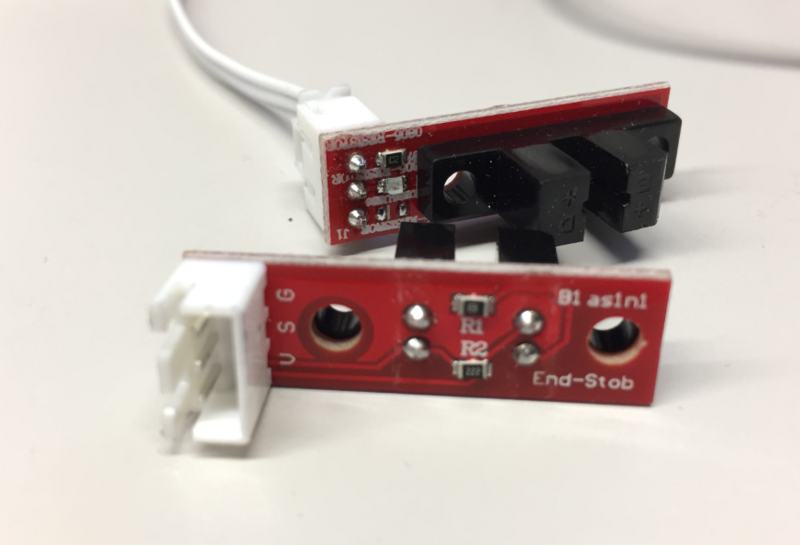 Some use the 1N4001 (see Flyback Diodes in https://github.com/openpnp/openpnp-openbuilds/wiki/Build-Instructions although they are not as good as the BYV27-100). 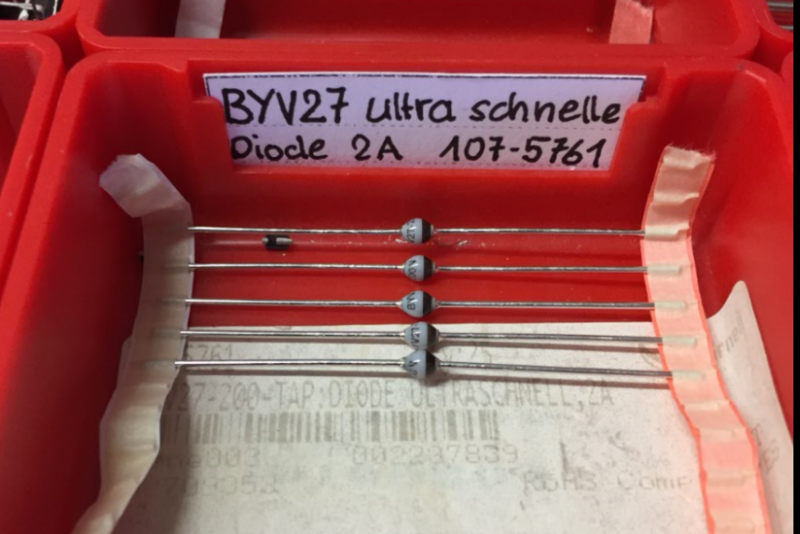 I was looking for the BYV27-100 at the local store but they do not have, they do not even know avalanche type diodes. On the island there are no more electronics stores, I would have to buy it from DigiKey. But there are only 4 diodes and it would take at least a week. I think the two could work, but between the two I do not know which could be the best option. 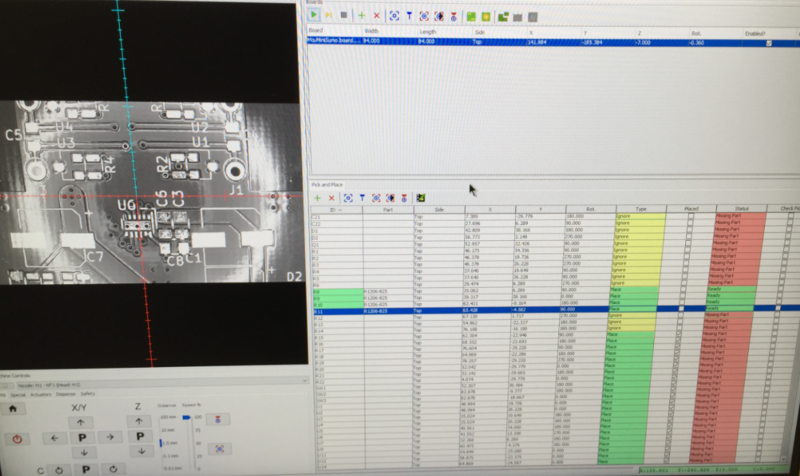 Then you have to choose fast diodes matching your machine. Make sure they are very fast. When I insert a nozzle with my hand, I have to do a lot of pressure. Did you eliminate any of the rubber grommets? because in the video it seems to come and go more easily. I had to clean the nozzles and the nozzle holders up, plus used silicon oil to make it more easily to insert/remove. I cleaned it with Soudal Cleaner & Degreaser and I applied PTFE grease, I haven’t silicon oil, but now it’s softer. I suppose that as it is used, the rubber rings will be worn out and it will be even softer. I have received the 2040x50cm and 2040x15cm profiles. How big is your base plate? that depends if and where you want to place auto feeders. 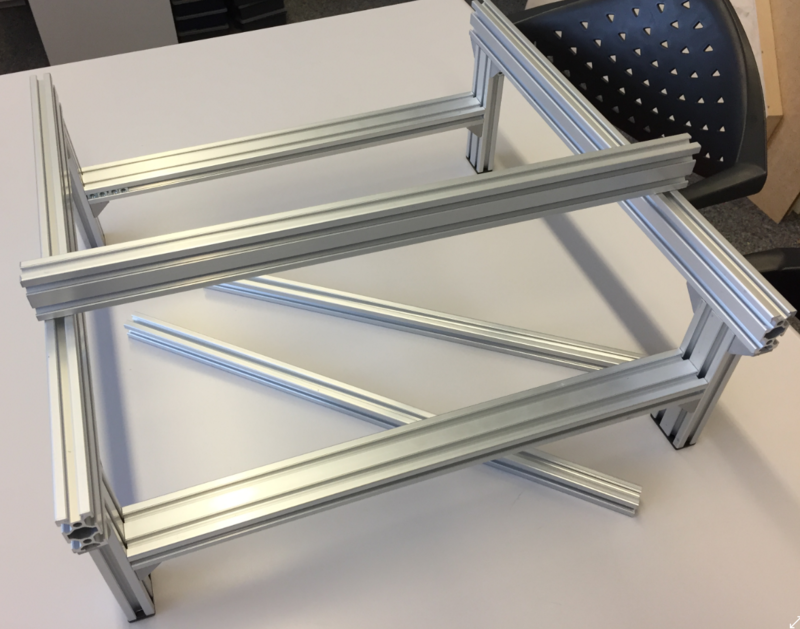 I recommend that you first build the frame and then measure it. 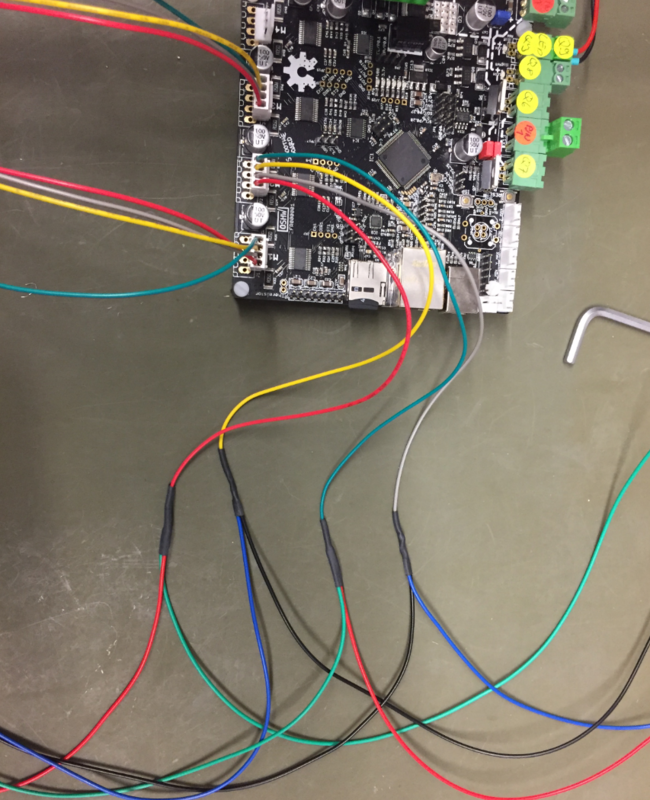 What configuration did you use for the DIP switch of the DM542? 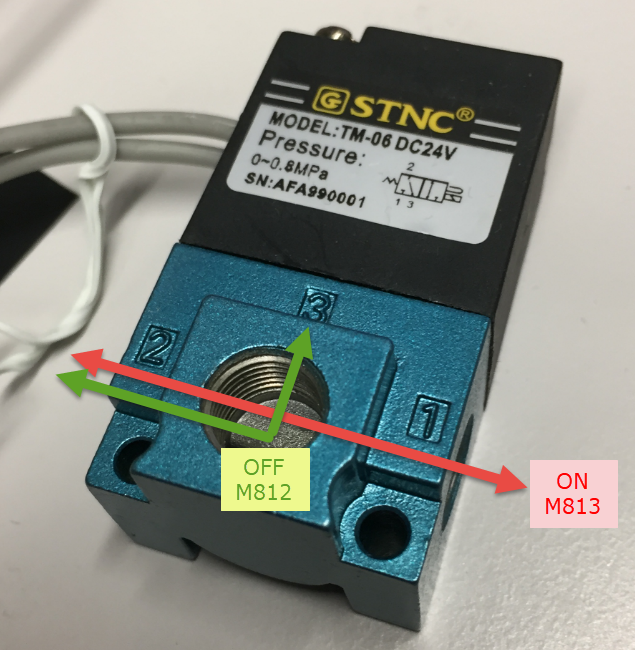 And how did you connect the motors, in series or in parallel? In Dynamic Current Settings I have SW1, SW2 and SW3 in OFF in order to use RMS Current 3A, it’s ok so? Now I understand, if I have SW4 in OFF I get half current so 3A/2=1.5A would not be enough for both engines. 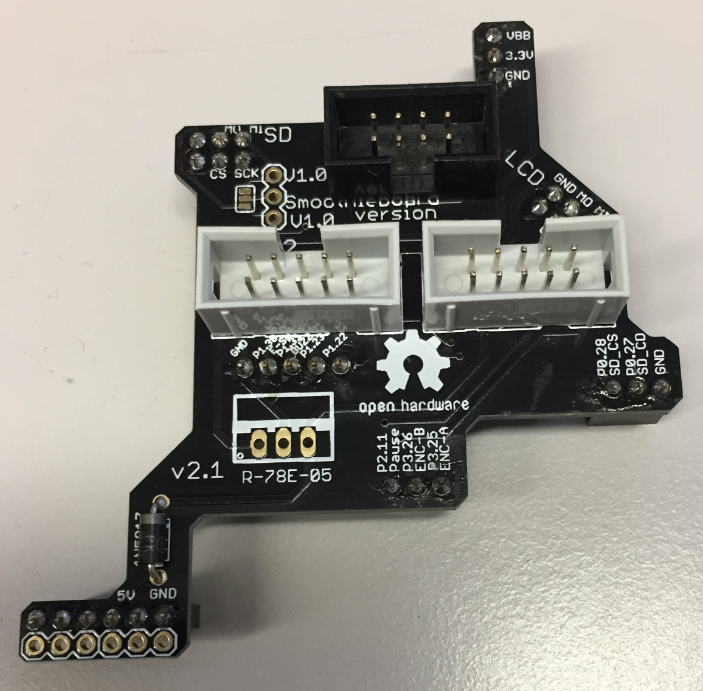 In Smoothieboard you have placed jumpers in JP28, JP27 and JP11 ? Sorry, I have seen in a image that if they are installed. 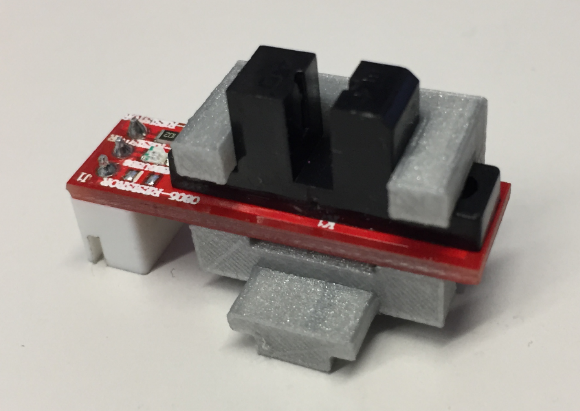 You have used 3.3V or 5V with the DM542? 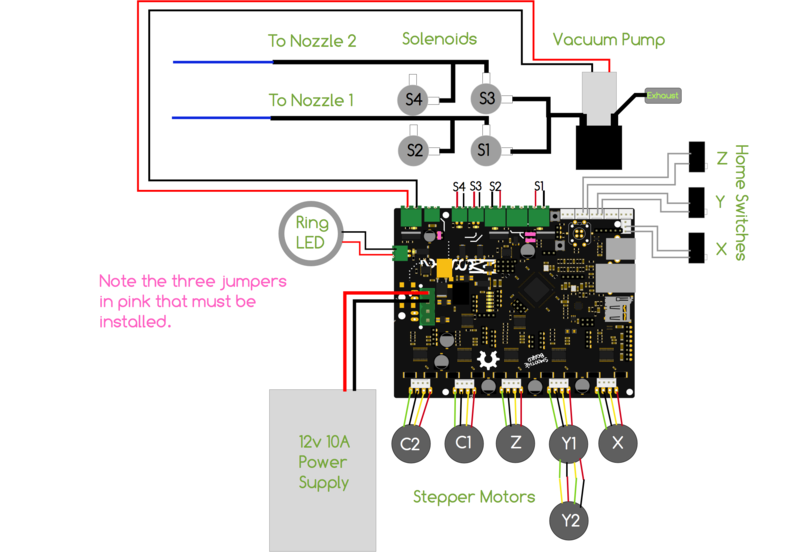 I’m having a problem with serial communication in linux, but I managed to connect once to 115200 /dev/ttyACM1 and I could operate the vacuum pump, the lights, the selenoids and move the Z and the X. I could not prove the Y because I closed the application and then I could not connect anymore. I do not know yet what can be if on the side of linux or on the side of the smoothieboard. 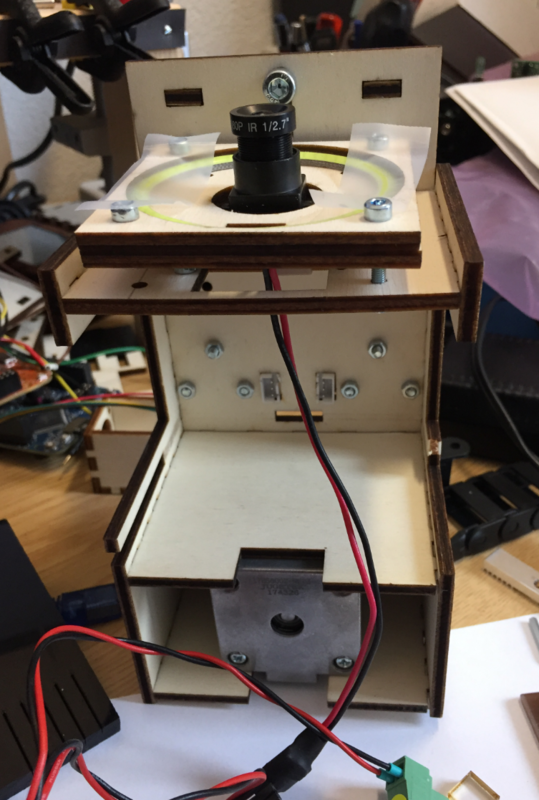 I also made a prototype for the dispenser, it is functional and simple, I would like to try it when I clarify with this. Solved, I have to change the baud rate every time I start my pc. But if the rules are created. I have tested Y and C but they do not work, everything else works fine. Sorry, C1 and C2 works fine. I did not had any issues with this on Windows, I have not used the Smoothie on Linux yet. 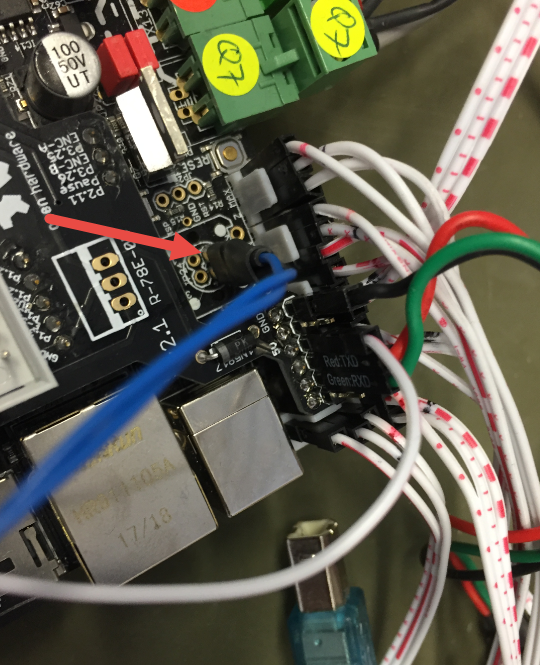 But I now that I had issues with serial ports under Linux for other boards too. Don’t worry, now it’s working well. So if the port name change to /dev/ttyACM1…9] always forward to /dev/smoothie1. 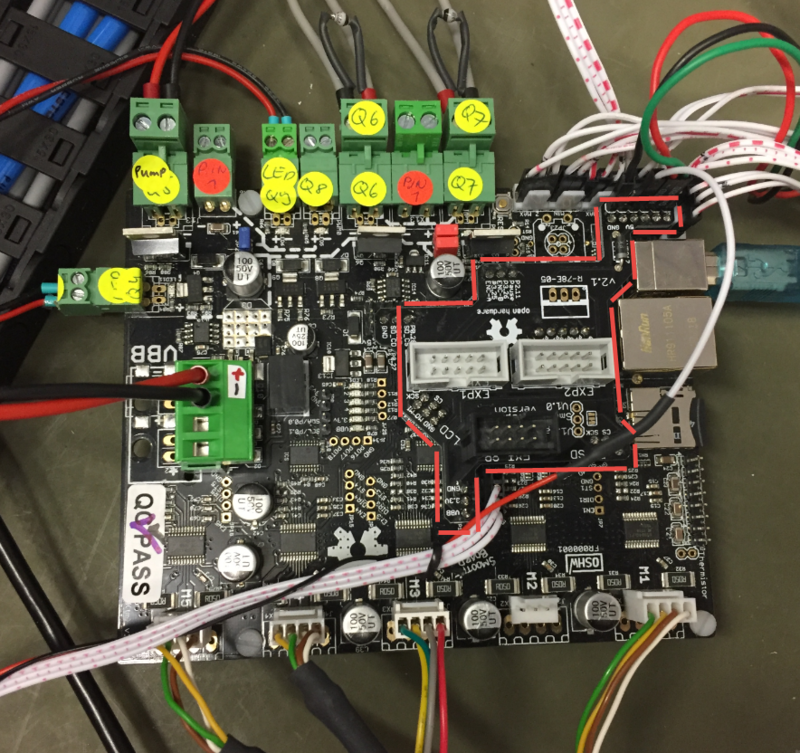 Can you share your DM542 configuration? I have changed from common anode to common cathode but not works to me. I have changed it back to common anode. I read that 3V3 is not enough. 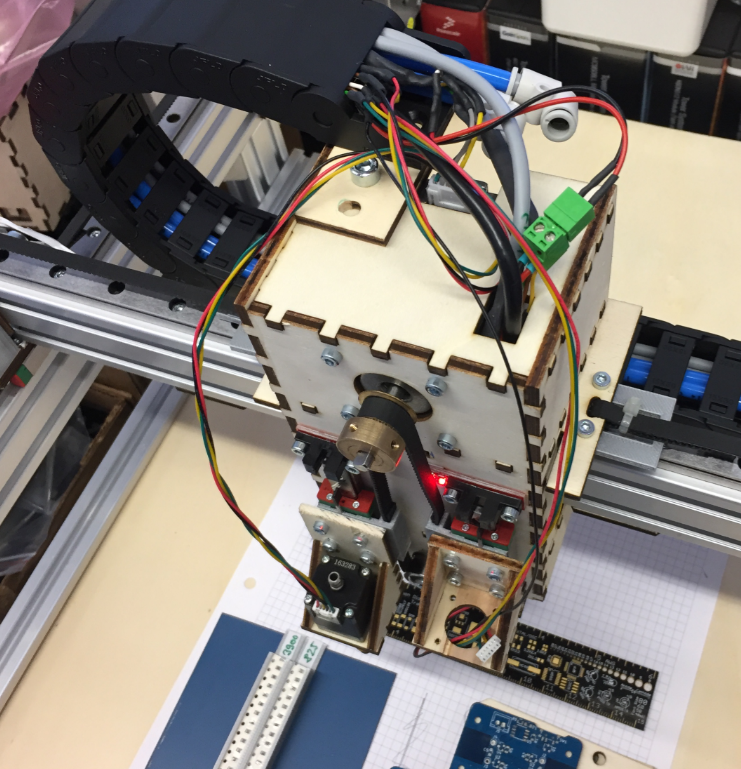 # NOTE: using external stepper motor driver! I’m using M5 (or epsilon) and that port (2.1) it’s of M2, I think. 2.8, 2.13 and 4.29 they are the ones that I need to use, I think. Ok, sorry, I’m rolling it. I have to connect the DM542 to M2, I think that’s the error, I’ll try. 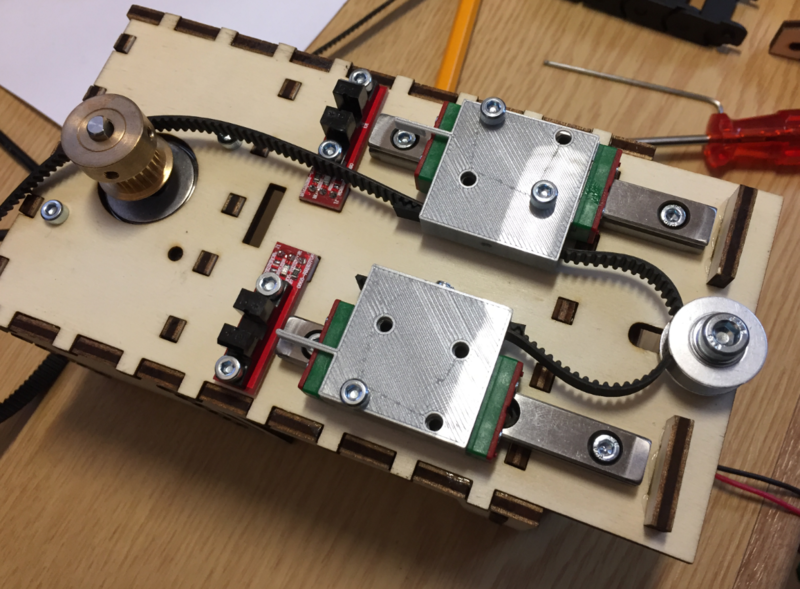 Now if the motors move, but it does not move well on the beta axis. As if they were uncoordinated, it throws more than one side of the other. 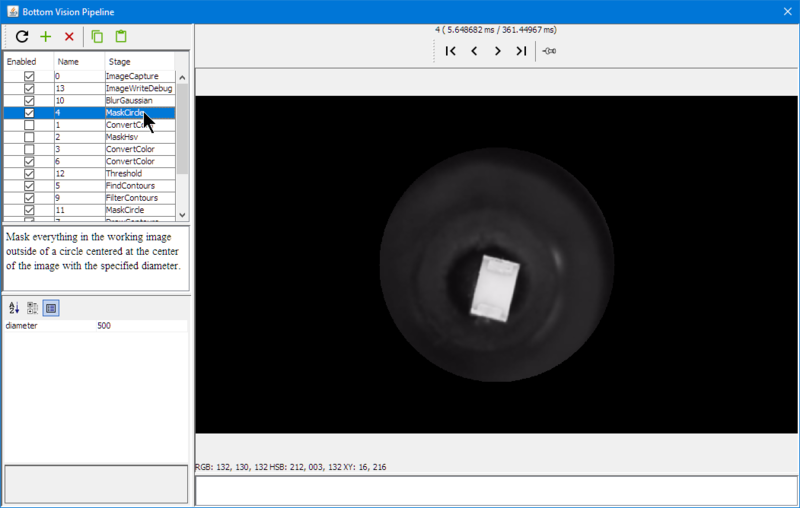 I crossed the phases of the Y engines, and it is already working well. Thank you very much, when I can share a video. This is the dispenser prototype that I have done with components that I have found it in internet. I have tested and works. With the Nema17 48mm, Nema 17 2mm not works. 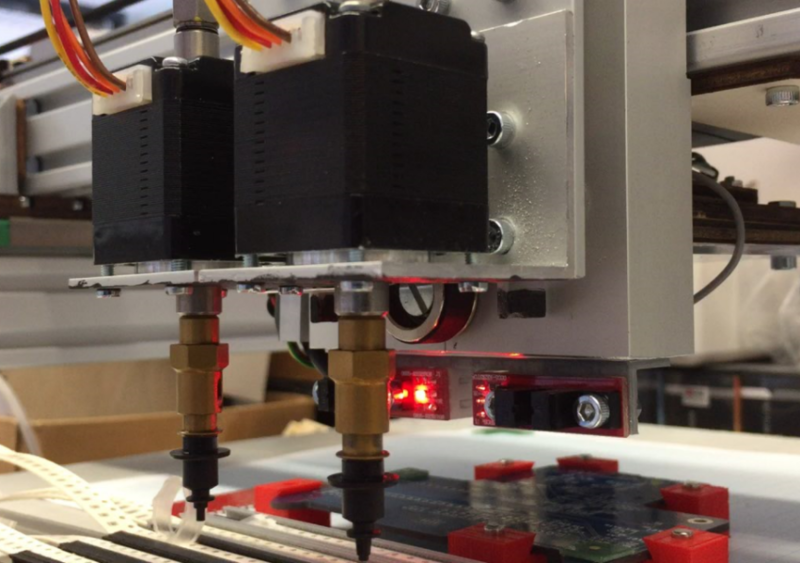 Do you always get the same amount of solder paste for a given number of stepper motor steps? 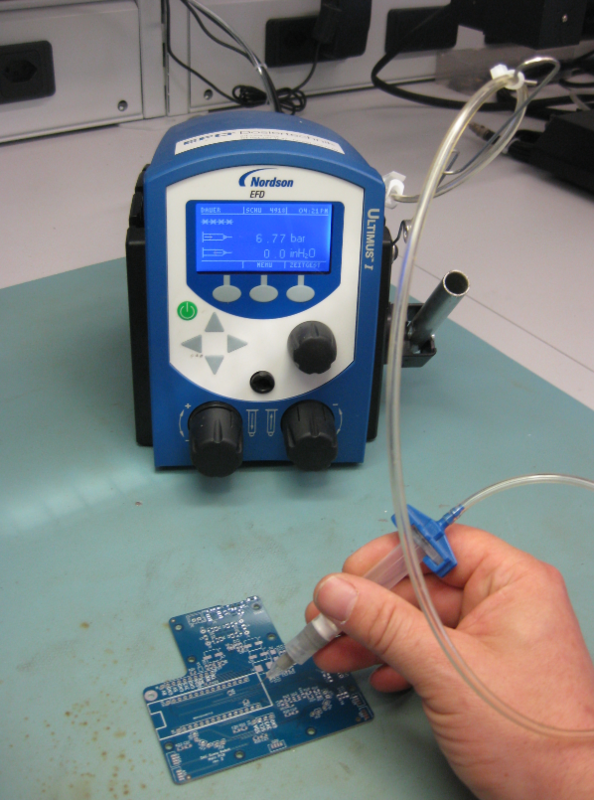 What I have found is that depending on the compressability and fluidness of the solder paste I get different results, and it depends how much solder is present in the tank. That’s why my thining is that an auger pump would get better results? Not, sorry. I have not tested yet with solder paste, I think I will do it next week. I have that use T3 and T4 for BGA. I think that this system is more precise. Yes, this is exactly the Auger pump I’m using. 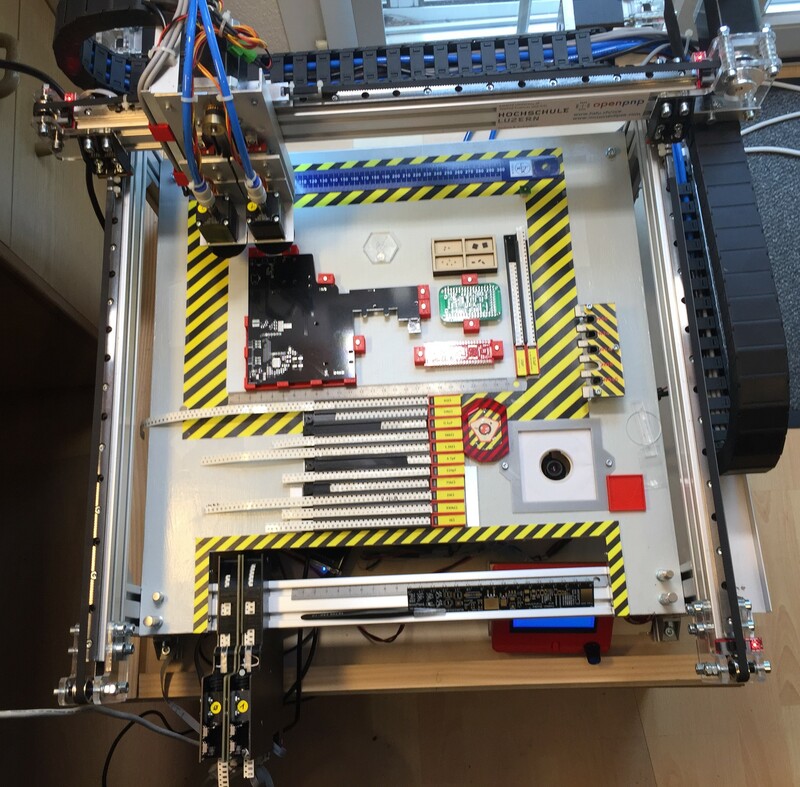 There is one design feature of yours I am stealing 🙂 It is the base and magnetic mounting system. 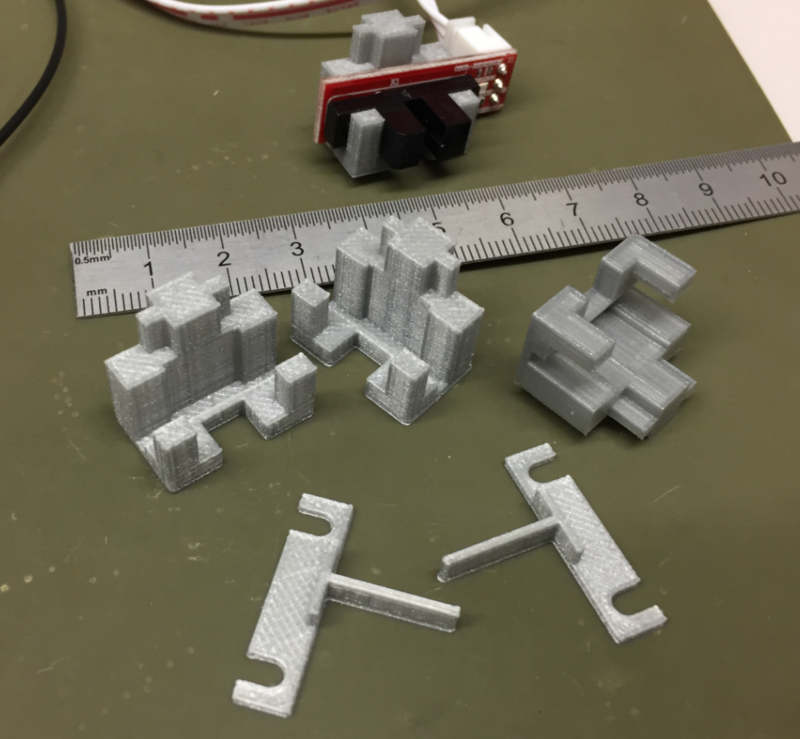 Are the 3d files for your various magnetic holders available? 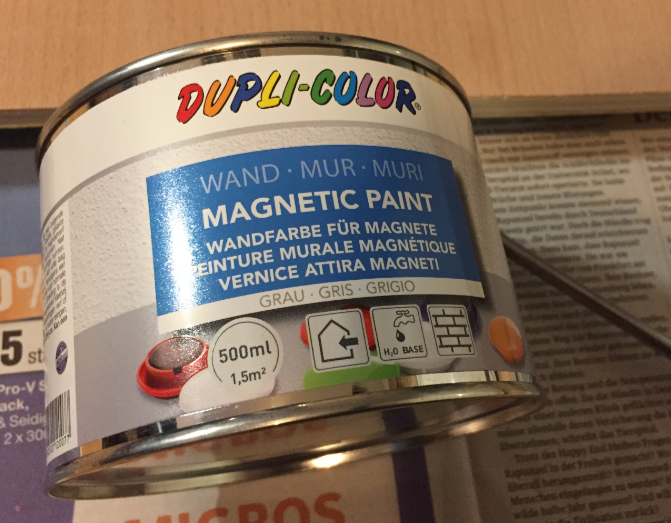 How well are they working for you with the magnetic paint? 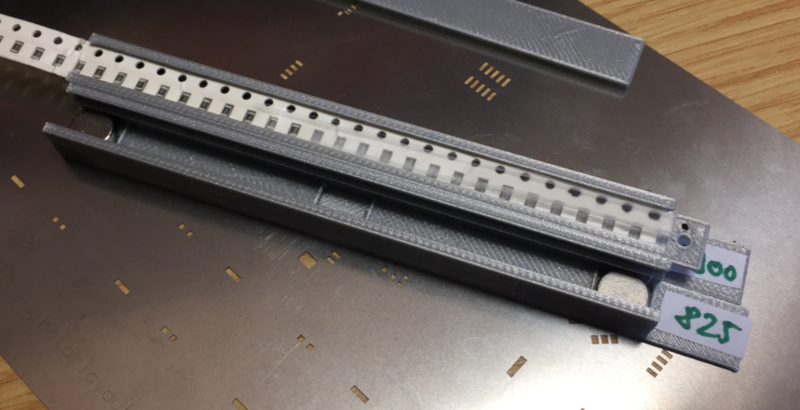 Another question I have is why dump the laser cut head components and move to aluminum? You never mentioned exactly why that was. 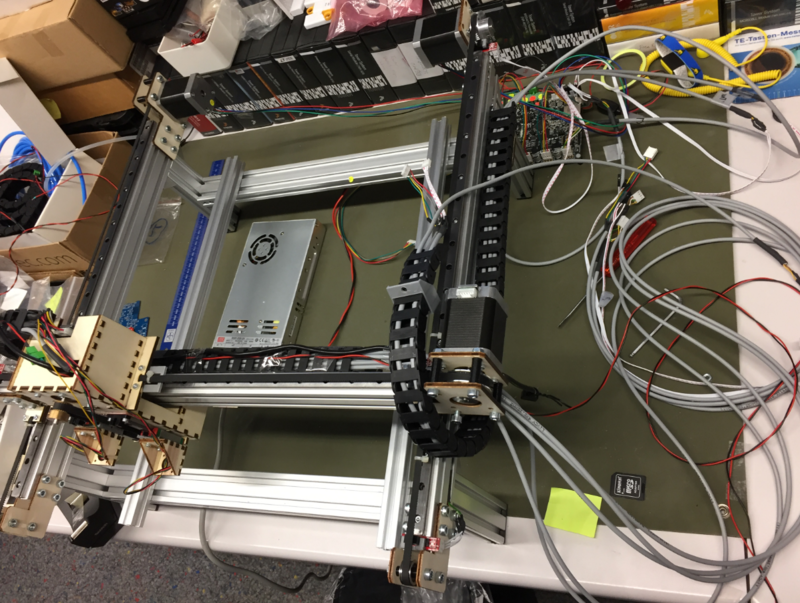 My machine is similar to a MyData Machine, X is on a fixed gantry, and Y moves an entire tray with boards and fixed strip feeders attached. 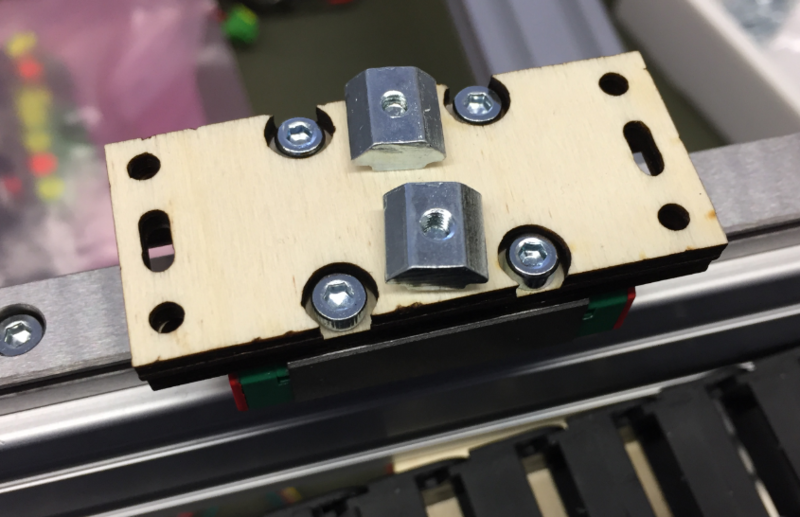 My X and Y are linear motor slides, they will accelerate at 5G and run 3000mm/s. You used wood with magnetic paint for your base. Mine, Ideally it will be light and rigid. I’m thinking a sheet of magnetic stainless steel, with ribs and features on the bottom to add rigidity. 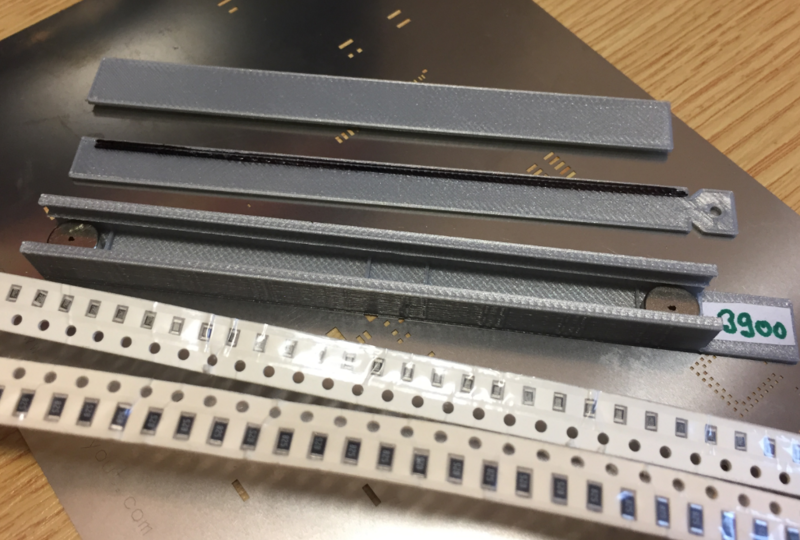 I notice you have a photo of a solder paste stencil with your magnetic holders on it. Is that made from magnetic stainless? A stencil alone would probably be to floppy for me, but maybe sandwiched to some other flat rigid and light material will work for me. your machine looks really great! 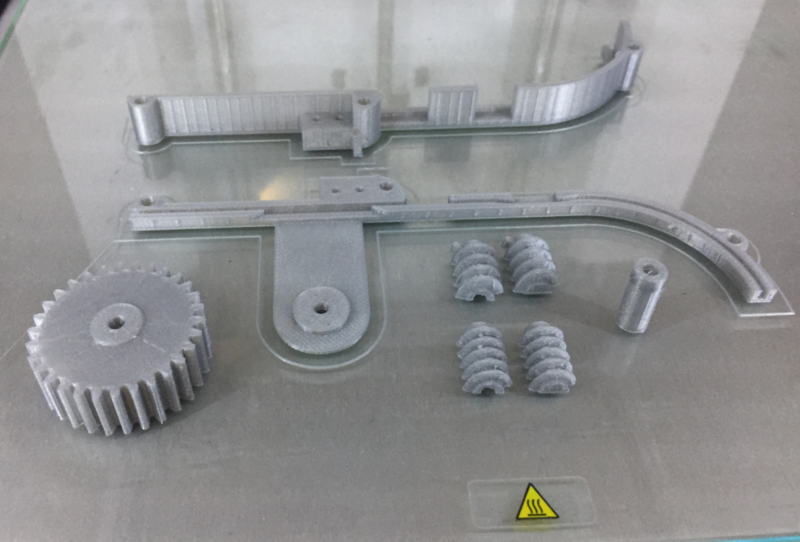 Yes, the 3D files are available on https://github.com/ErichStyger/McuOpenPnP_Machine/tree/master/3D. 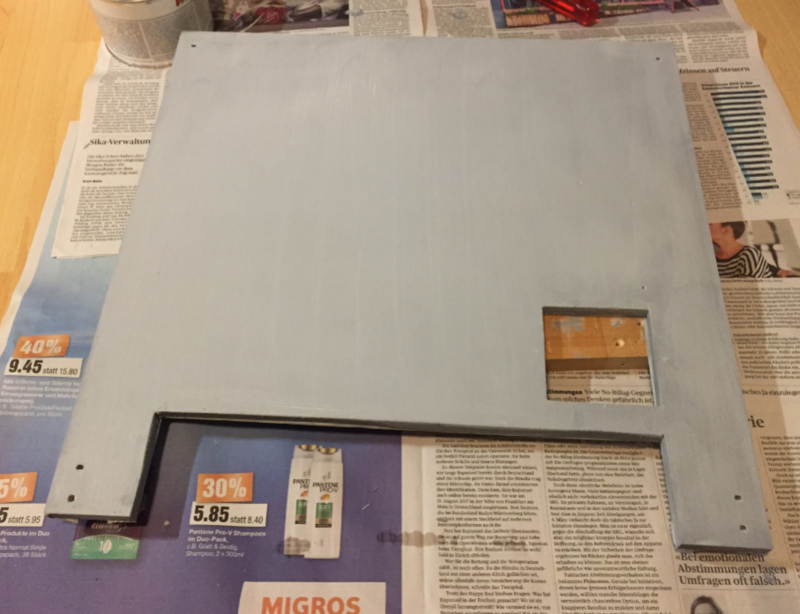 They work well with the magnetic paint (You have to paint it in multiple layers (4-5)), and because the surface is rather rough and sensitive to moisture because of the iron parts, I added another normal color layer on the top. 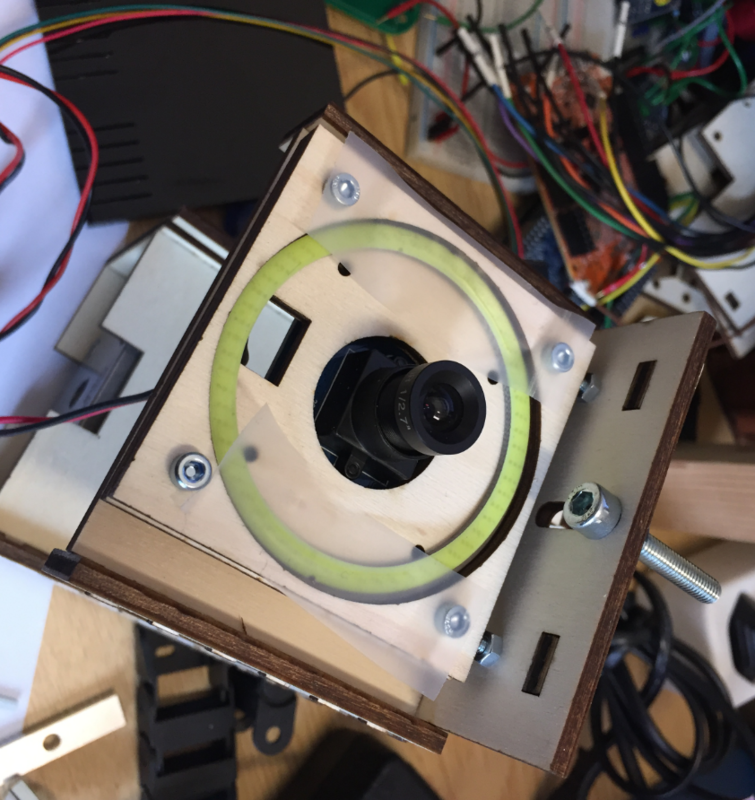 The plywood head was cheap and easy to build, but not as rigid as it should be. Plus there was the concern that water/moisture in the air could affect precision. A sheet of stainless steel is something others use too: but that would have been expensive for me, it was not really available and I did not had the tools to cut it in shape with the holes for the cameras/etc. So wood was much easier for me. 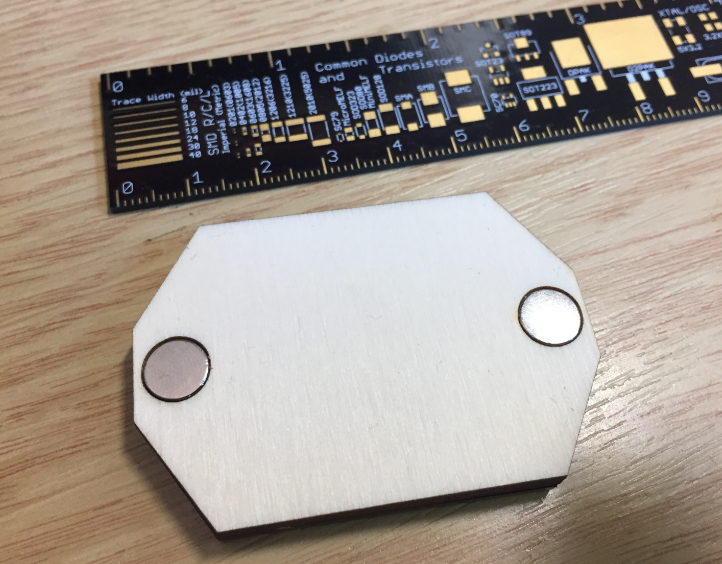 The solder stencil is magnetic (I think, but I don’t have one with me to test right now). 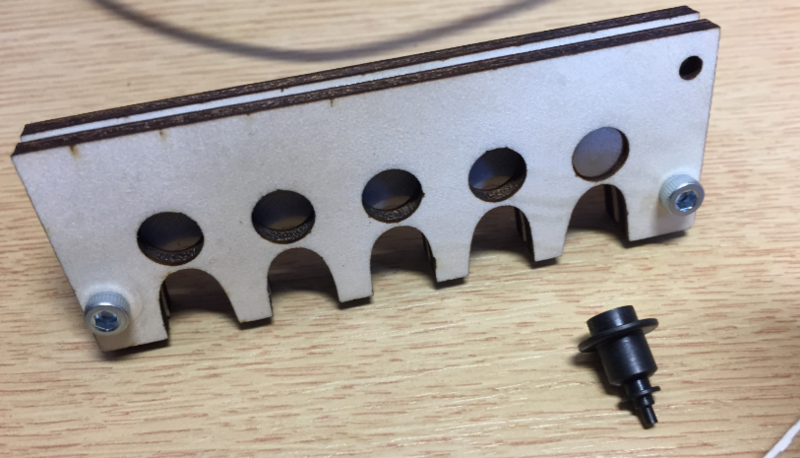 do 18mm parts on top and bottom of the board, and held on the nozzle. 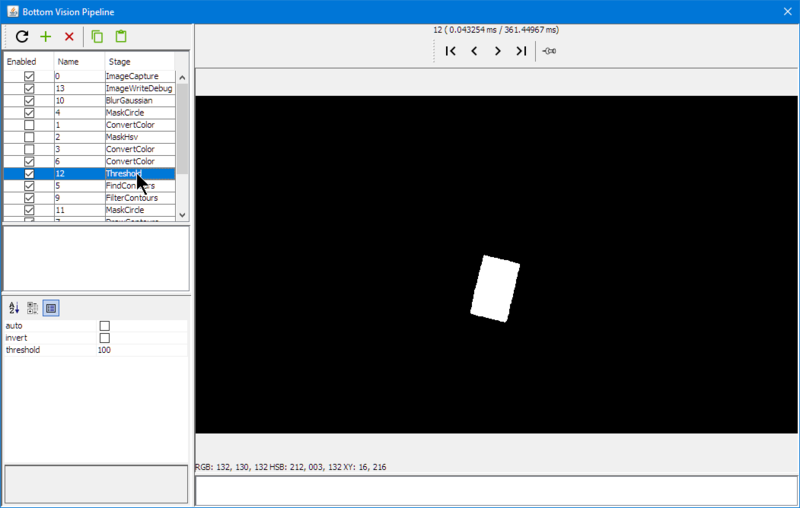 I’m sorry, I have fixed the .stl file on GitHub (there was a mixup from the .123dx to the .stl). Anyway, the holders are very simply to build or construct. 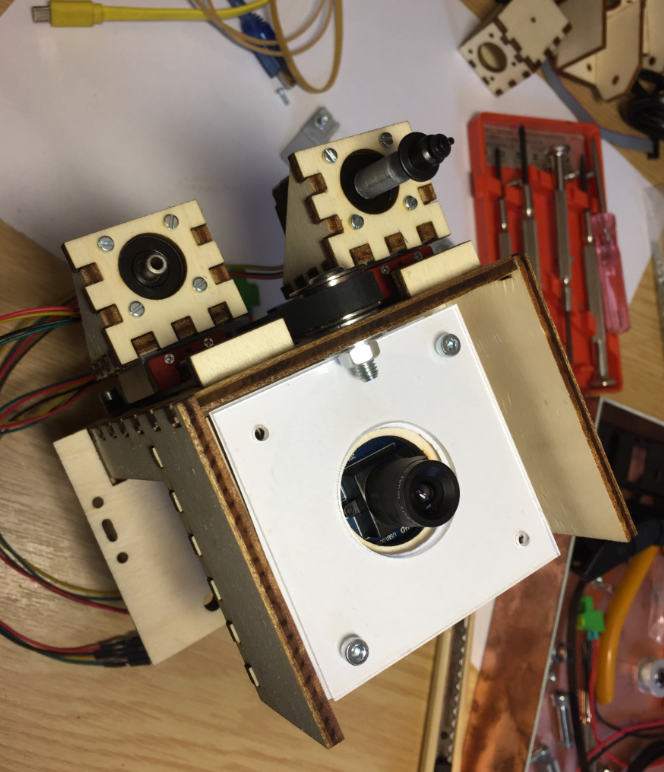 I wanted to keep the height of all components (boards, feeders, components, nozzle holder) at the same z-height as my camera has a fixed focus: having parts on different height requires a camera with variable focus). I was looking for it too. 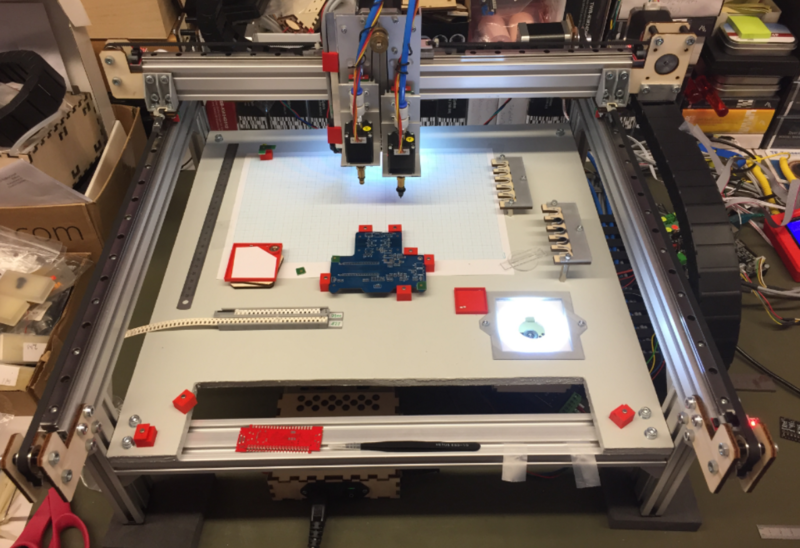 In Thingiverse there are some alternatives. 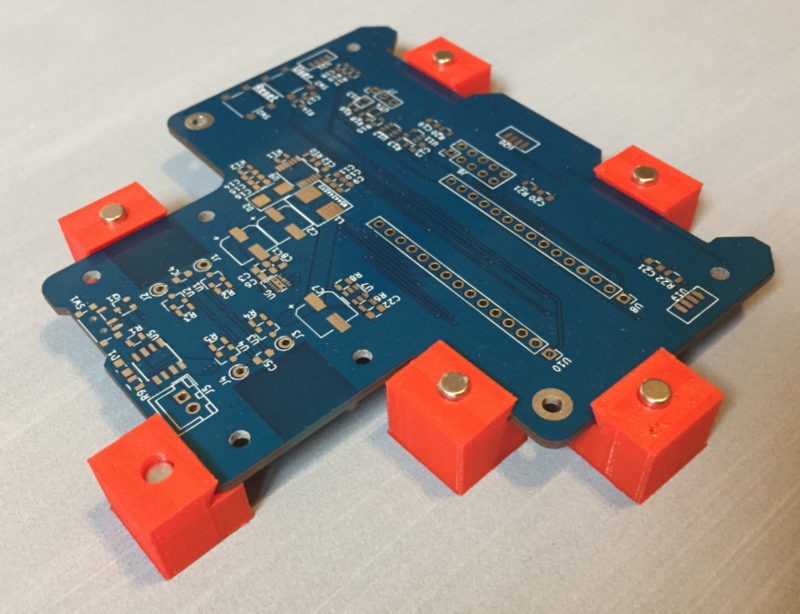 Just one thing to mention: make sure the magnets are not too close to the PCB: my initial version had issues that the magnets were pulling parts from the PCB because they were magnetic. 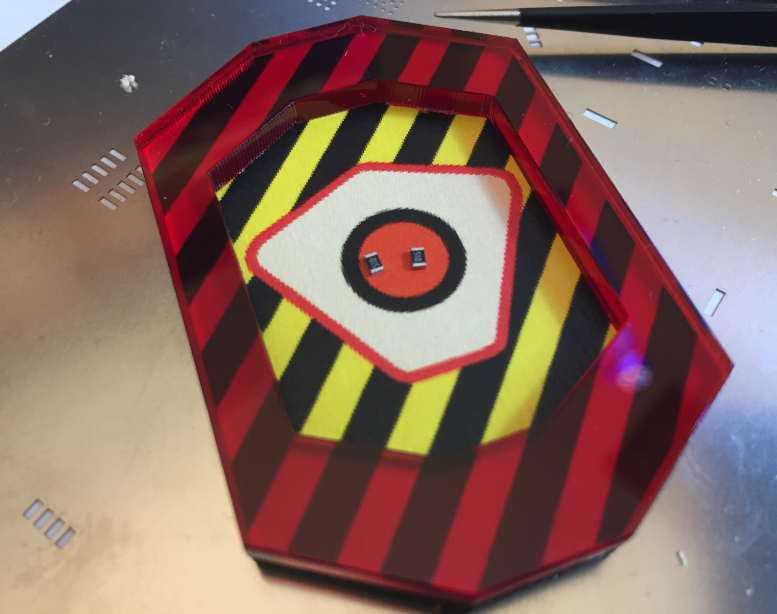 I made some with a greenhouse pin, an 8mm threaded sleeve and a 8x5mm magnet but they need a little more perimeter because if I move the pcb falls easily. I have a couple commercial solder stencils in aluminium frames. I checked with a magnet, and they are apparently non-magnetic stainless steel. though the frames are sturdy, I think with some ribs and a sheet of magnetic steel they could by my Y tray. Are you using you pnp a lot? 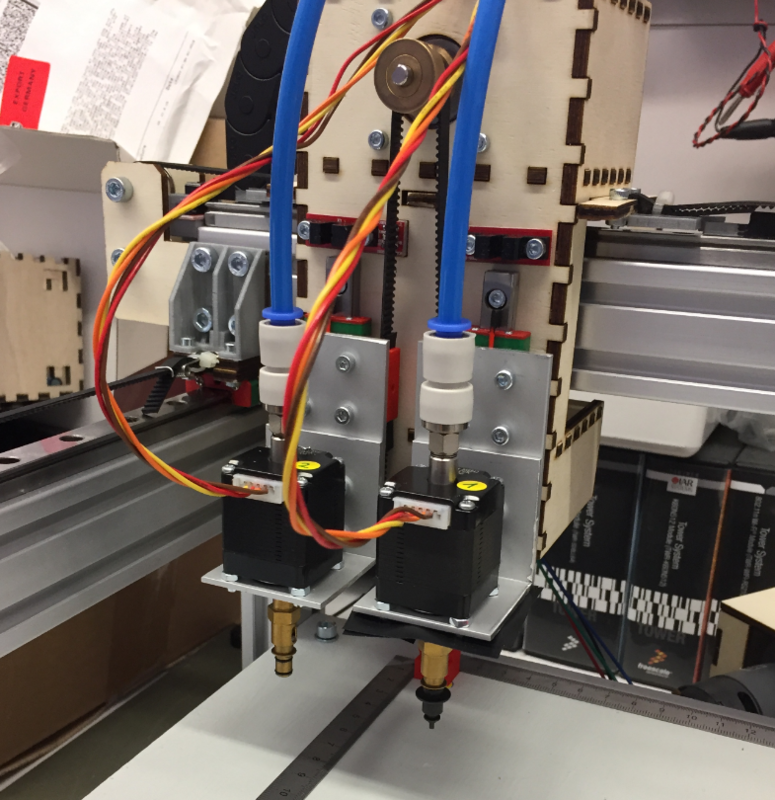 The machine is in use, but was stalled for a week because a lasercut part was not stable enough. Too busy with things this week, but should run again next week. 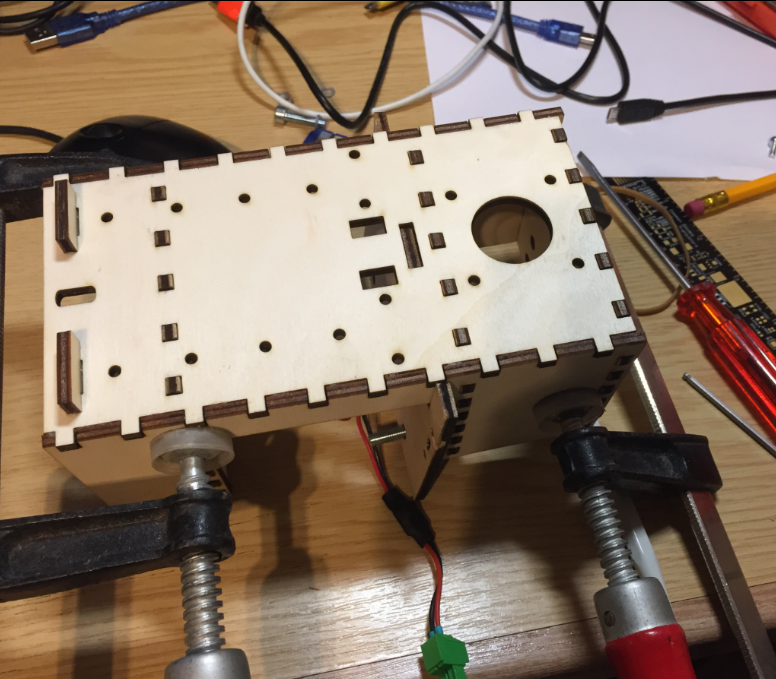 Thanks for the pcb holder updates, finally I has designed someones carriers and pcb holder. 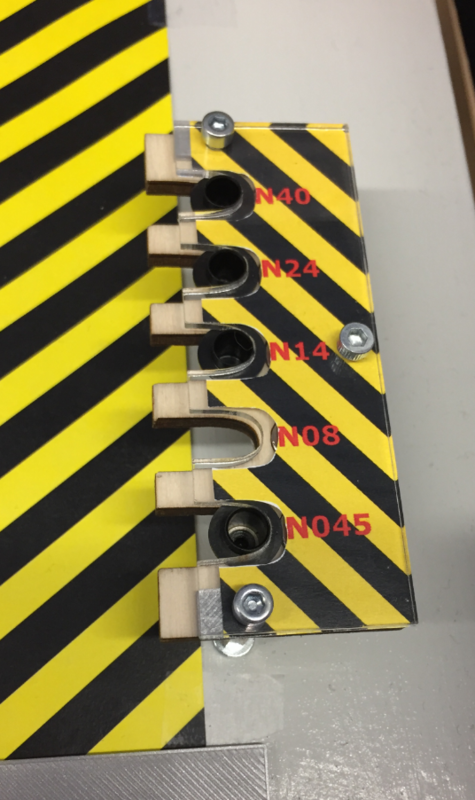 Where is the file of the end stop holder? They are in Endstop.123d. I see that the .stl did not had all parts in it, so I generated the .stl again with all parts. I ordered your bom today except some items that i had already. Great, I wish you lot of fun and success with that build! 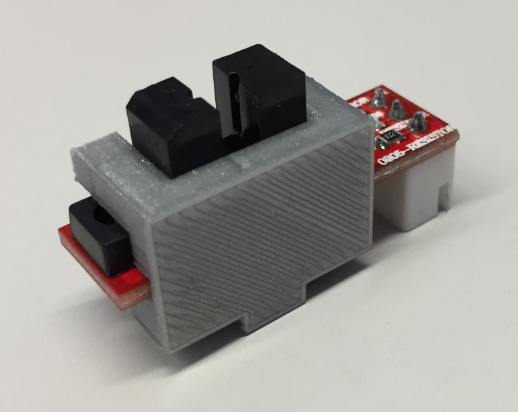 and another for brushless dc servos (odrive). 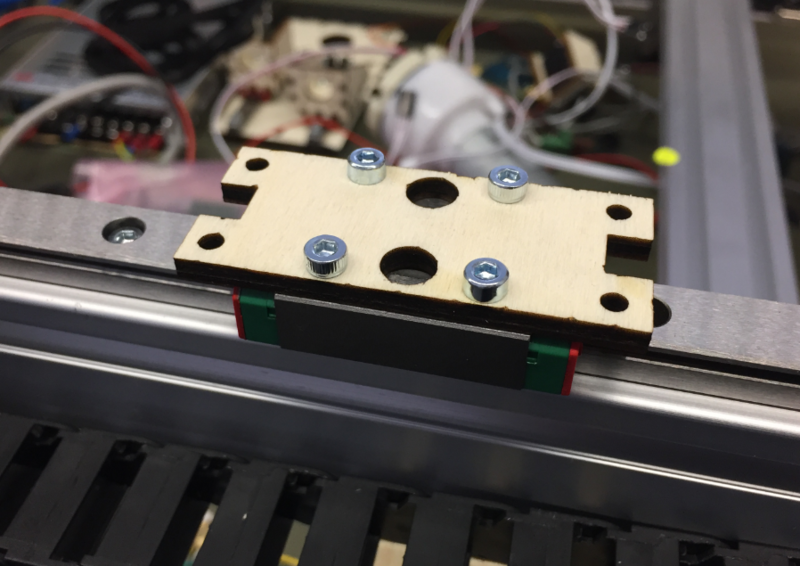 Without too much cost increase you can replace steppers with dc servos. Yes, loosing steps can be an issue. But I have not experienced this as I did not want a fast machine: I wanted an accurate machine. And driving the NEMA17 with the correct and enough current did not loose me any steps. 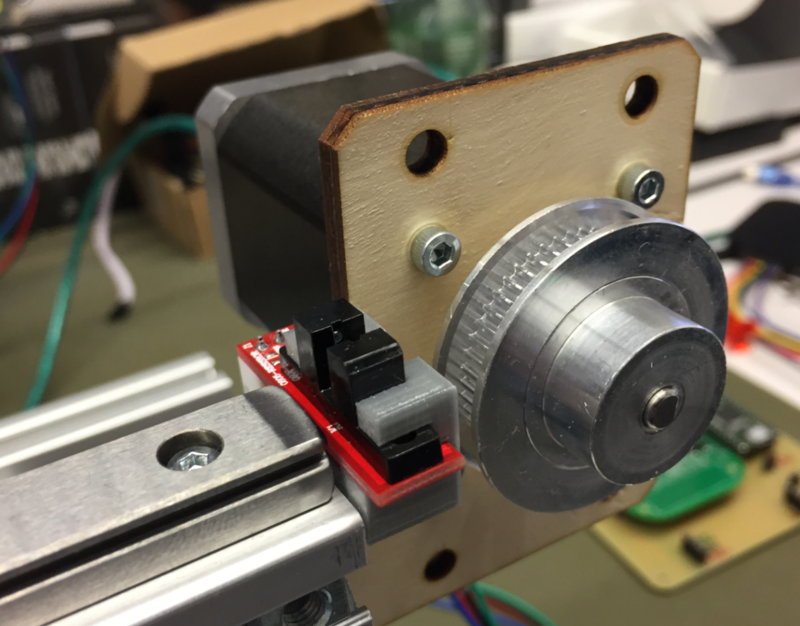 Of course if I would build a machine with my own controller, I would go for DC motors with encoders. 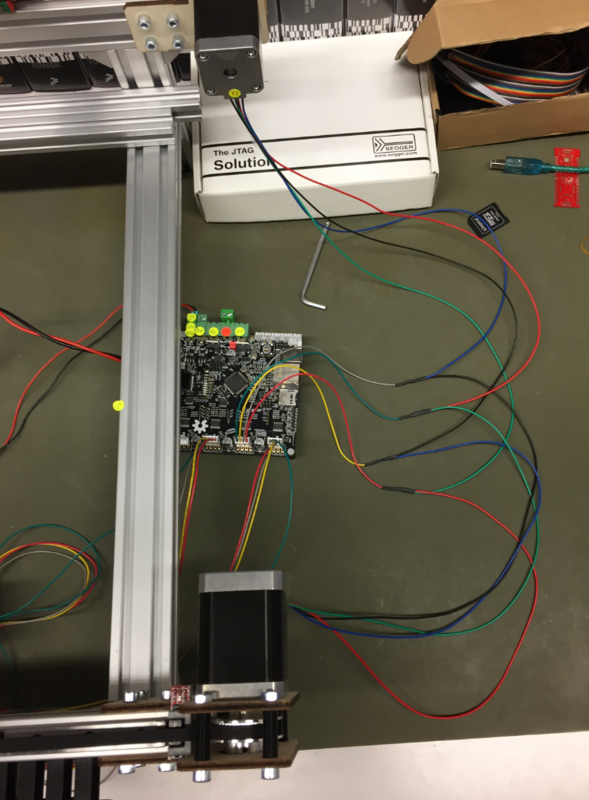 But because I built the machine around the Smoothieboard, I was going to use stepper motors. 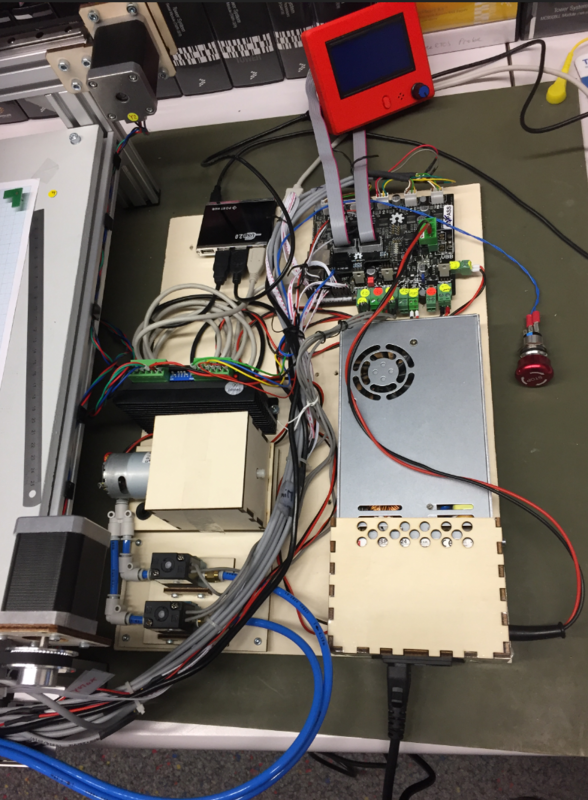 Other machine designs are using stepper motors in combination with encoders to make sure they do not loose steps, but these machine are running at higher speed than the one I have built. 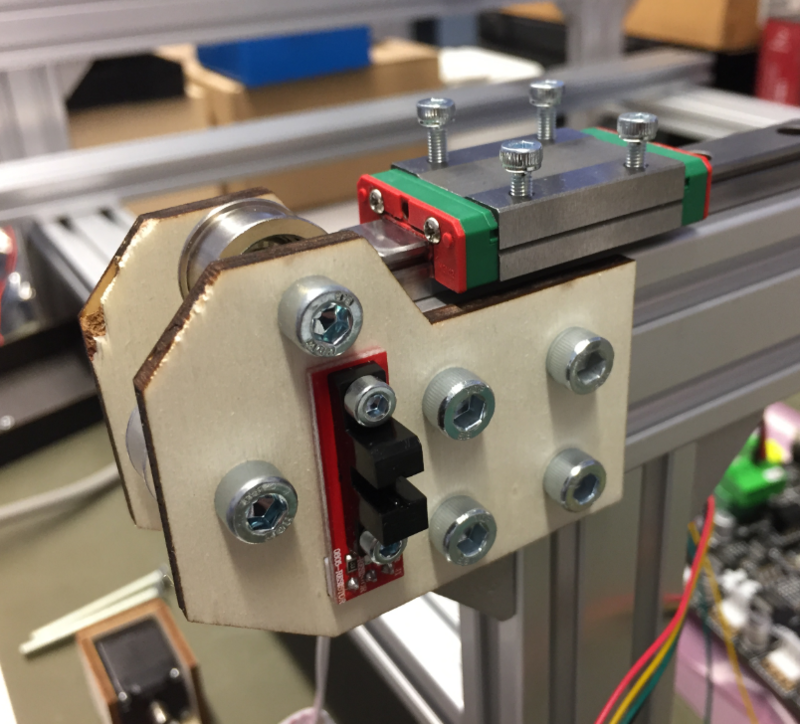 Servo motors usually are not able to generate enough torque imho. Again, it depends on what controller you are going to use. Also how much and what length/type m3 & m5 screws needed ? I did not count them, as I had them available in different length and sizes. I belive most had 15 mm length. But I’m away from the machine right now, so I cannot tell for sure. without any change to controller. 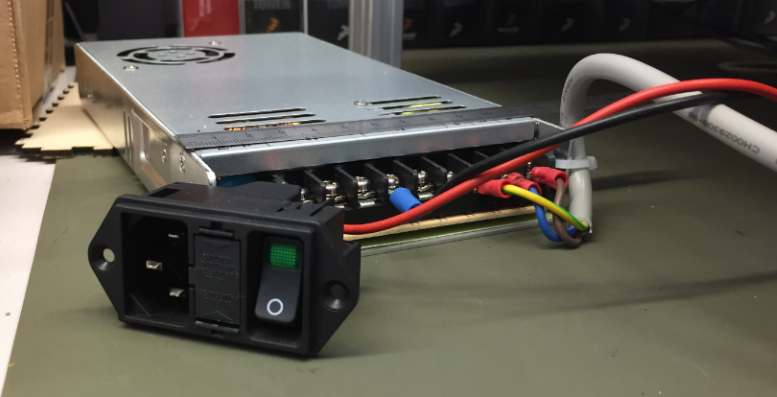 Controller will output step-dir odrive will get it as input to drive bldc. 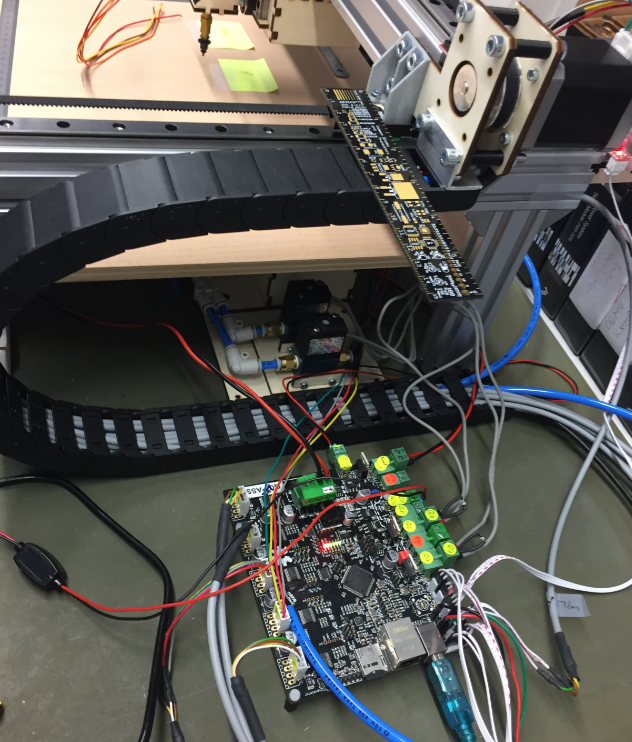 odrive will handle the servo loop not controller. 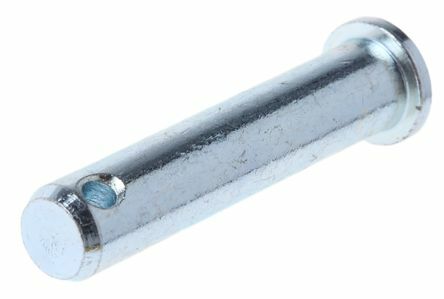 If i order 50/50/50 15mm/20mm/25mm M3/M5 hex screws will be ok ? This version is better, because you can place them without having to disassemble the profile. Yes, I wish I would had these. Disassembling the profiles to add another nut is really a pain. Yes, I haven’t, but for the next time I’ll use these. 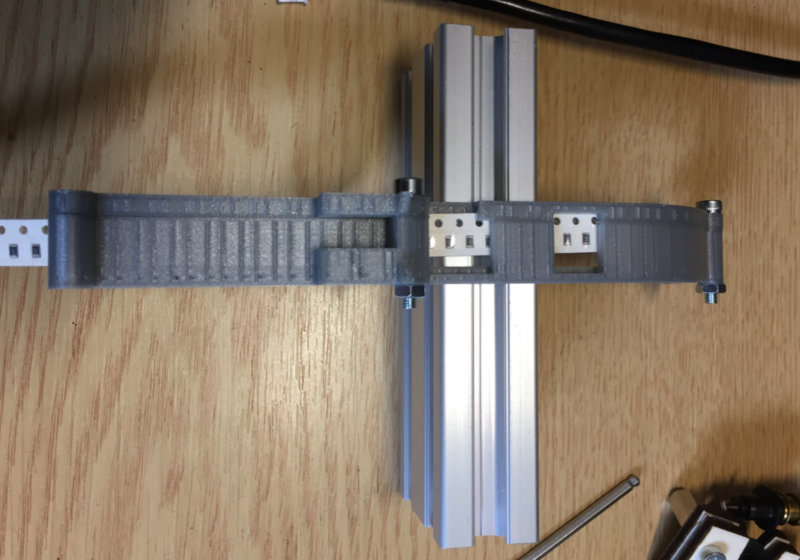 y uses 2 rails and x 1 rail. On which axis to use the long rails ane why? 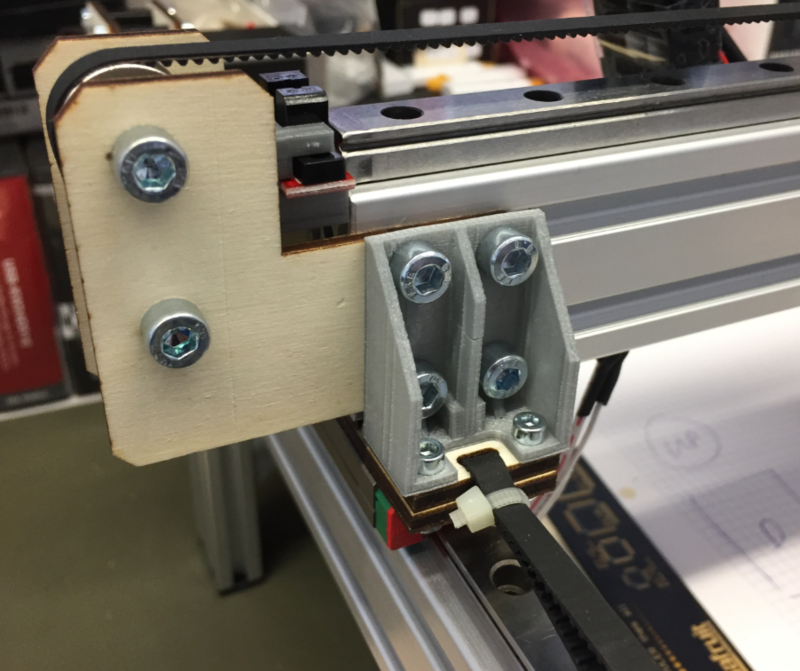 I would use it to make my machine wider (x axis) to make the area for the feeders as wide as possible. 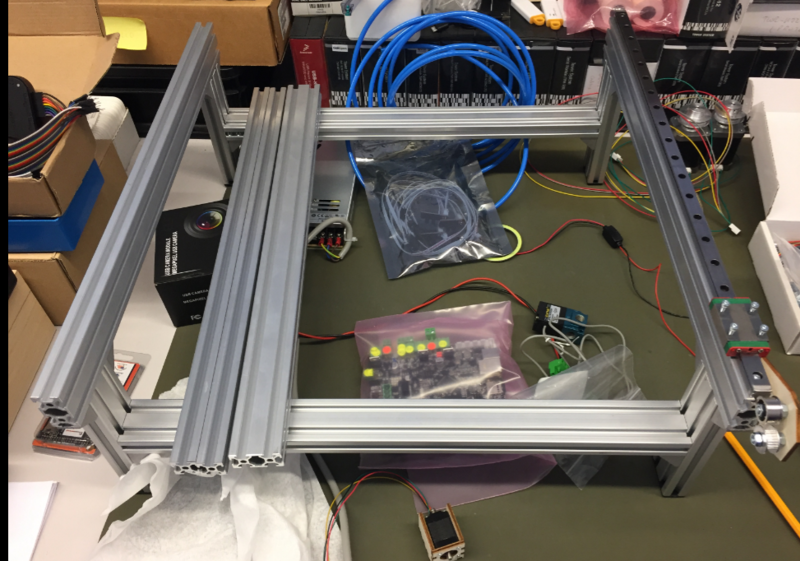 ok i will use one 850mm rail for x axis & two rails 550mm for y axis. What do you think size bigger than 500×500 really needed ? A bigger size is not *really* needed. I mean: 500×500 is fine. A bigger size will give you more space for feeders and parts. 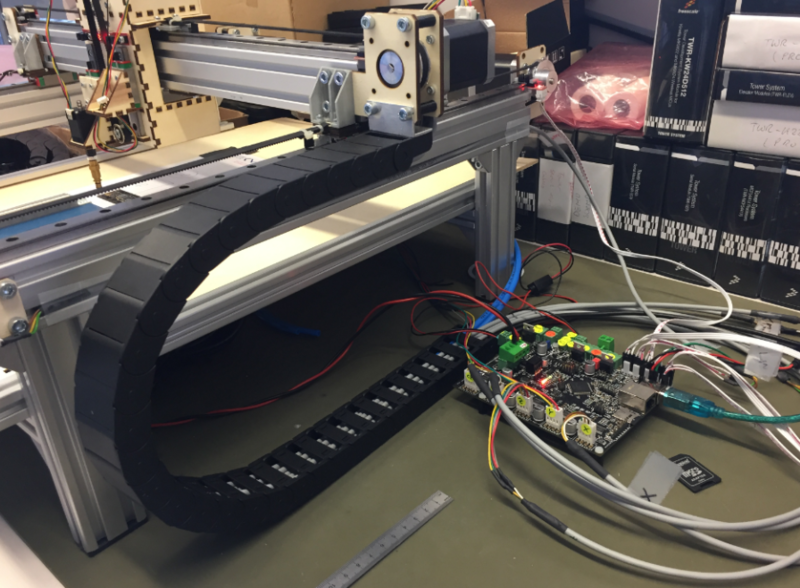 The disadvantages of a bigger is size are that you need more space for the machine, and if you are using longer belts, the backslash compensation will be bigger (potenitally less accurate, so you need to compensate more. The mass of the moving parts might be bigger too (depending on which axis you make longer). I think 500×500 is somewhat of a sweet spot: not too big, not too small, packages <=500mm costs less to be shipped, rails are cheaper. It is all about compromises. If i use 850mm rails i will use 10-15mm wide gt2 belt/pulleys. 10mm-15mm gt2 fits inside 2040 profile? yes, that should work. I quickly measured it with the ones I have and there is up to 16 mm space (at the widest position if the shape). Yes, there is definitely room for improvements. 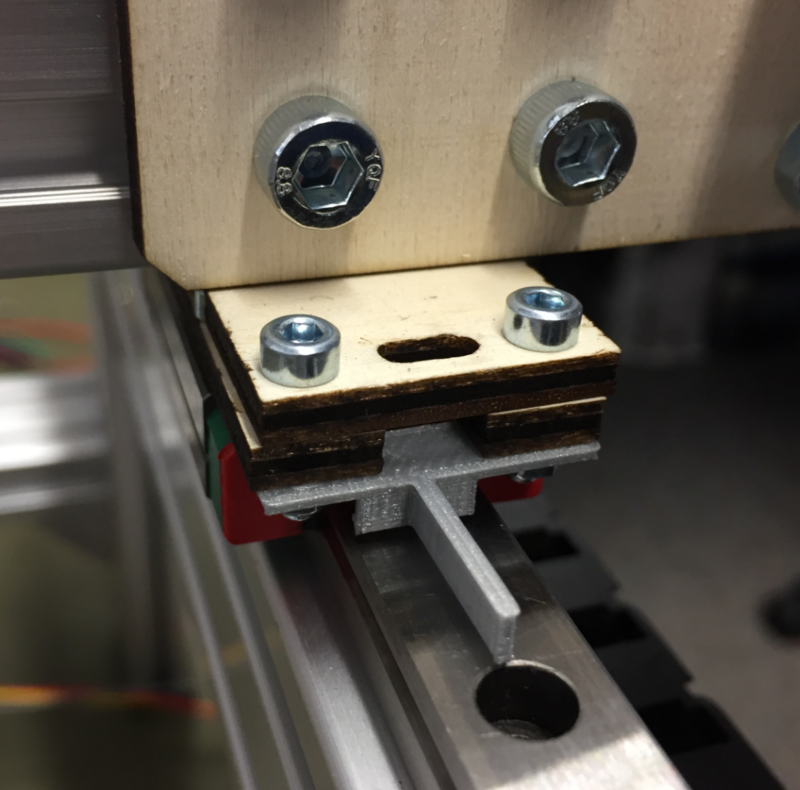 The videos of that machine require a CNC milling machine which I do not have. Definitely using more milled parts would be better. 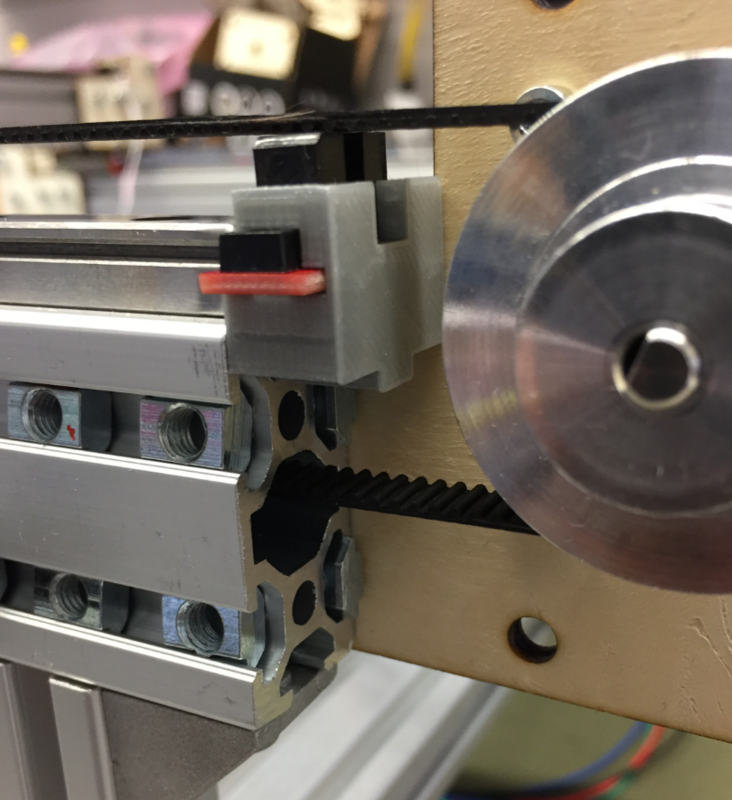 For reducing cost have you tried V-slot aluminum profiles with wheels for V-slot ? Have this system enough stability like mgn12 linear rails? No, I have not used V-Slots. 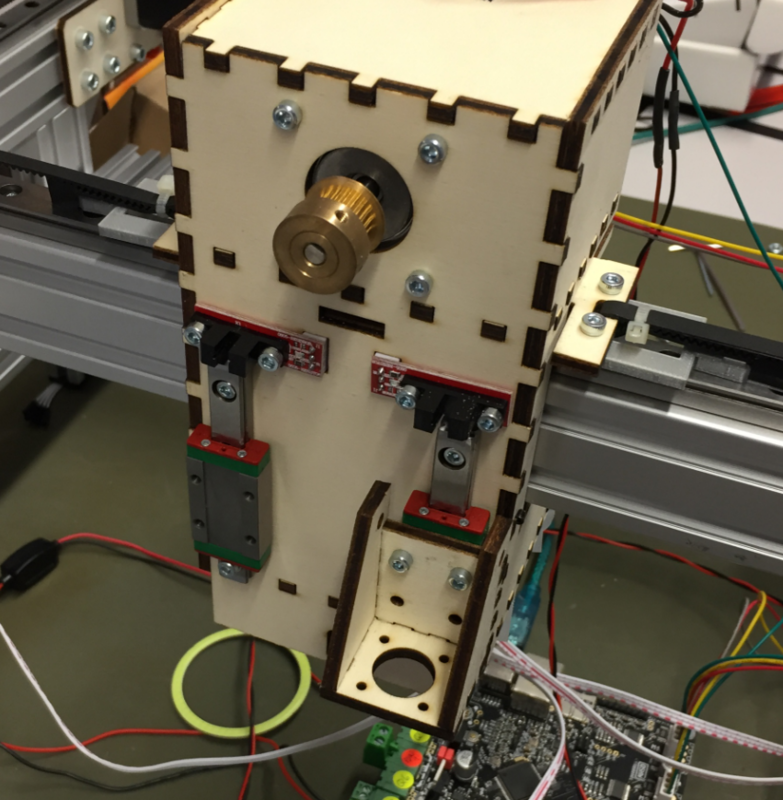 But I saw that others have built machines based on V-Slots, so it is definitely possible. I was aiming at the linear rails because expecting higher accuracy. I did not consider higher mass as a problem, as I was not aiming at speed but more at accuracy. Hi, I have seen the slides of a presentation you had and noticed that you are aware of the “lite place”. While I love to build thing, one must acknoledge that life time is limited. So I wonder what the key advantages of this solution over the lite placer are? 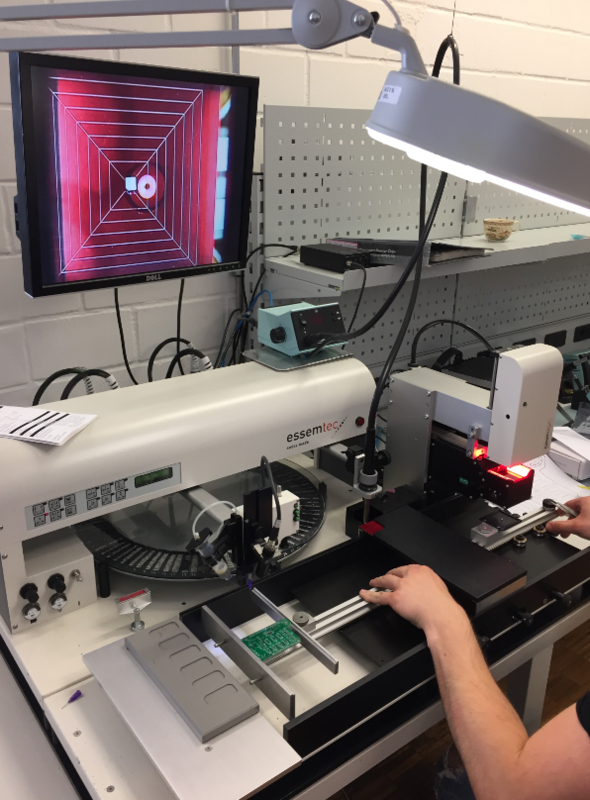 Is your machine faster, more precise or is the main benefit the price. I absolutely like this project and I want to congratulate you to a job well done. With all the public documentation you clearly gone above and beyond. Thank you for your kind words. 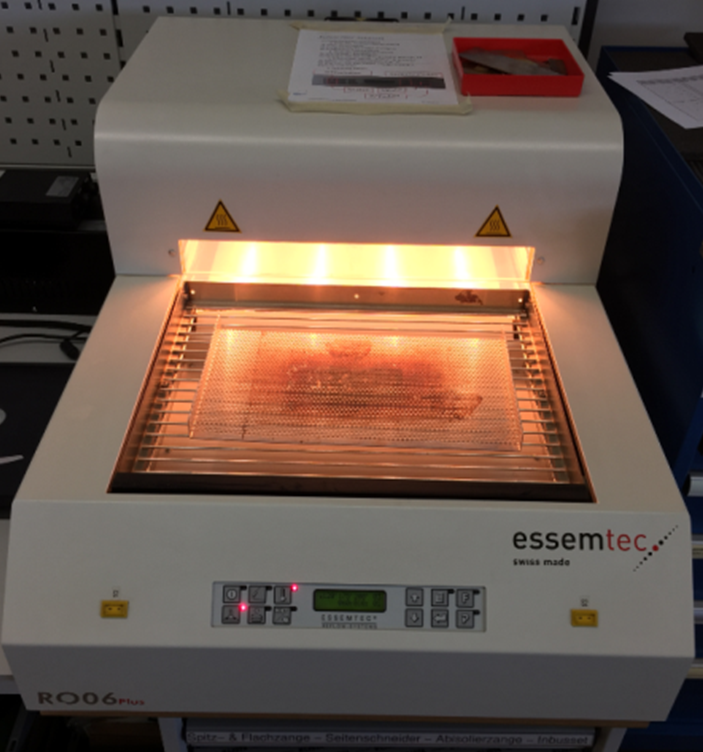 I have not used the LitePlacer, so I cannot really comment on speed or accuracy. 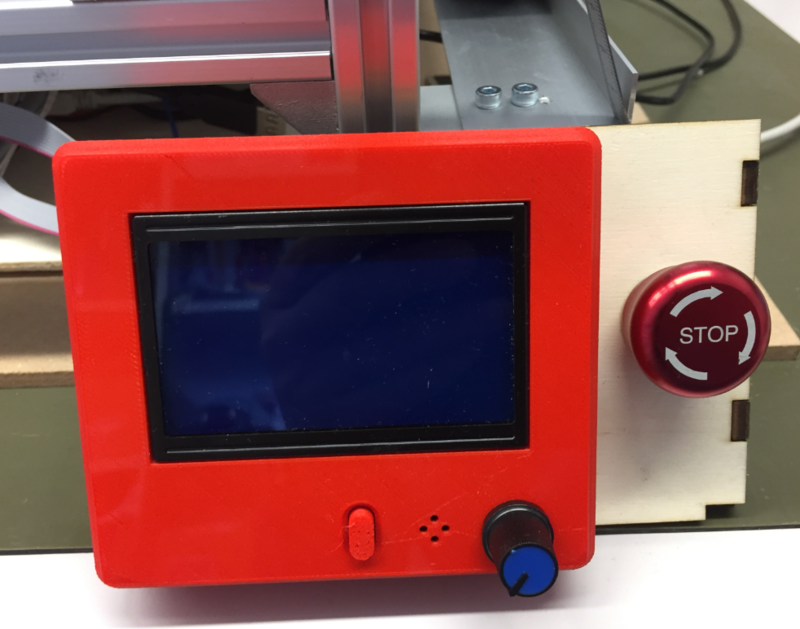 If you are looking for a mostly complete kit, the LitePlacer is definitely the way to go. 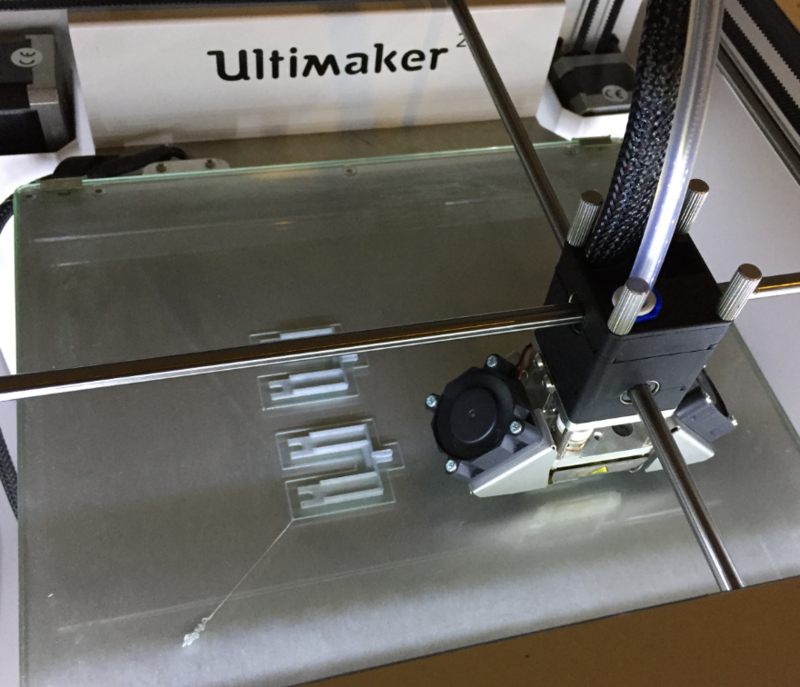 I would say that both machines have similar capabilities, but the LitePlacer has only one nozzle. To me a dual head has advantages with more speed. But if your main concern is about limited time, then I recommend you buy a commercial machine instead? Please read this article and see the links to the design files. Hi Erich Styger. I am very impressed with your skill. 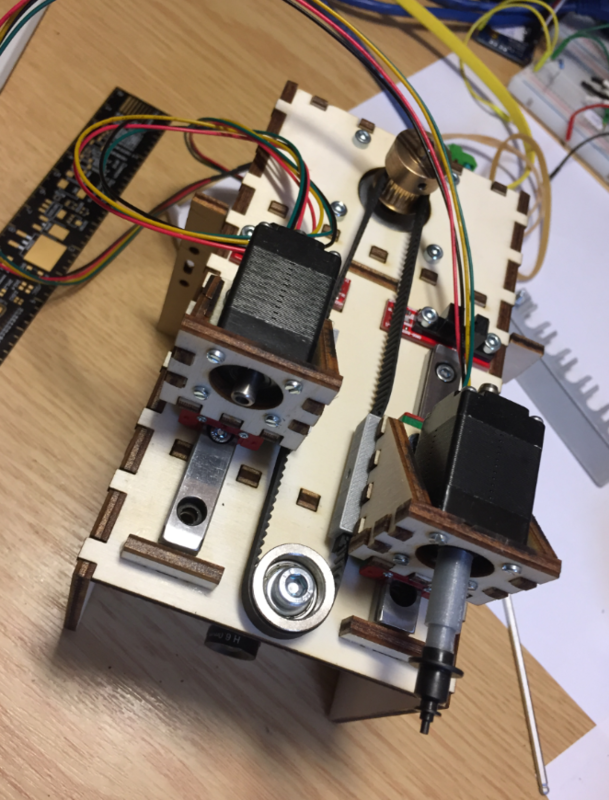 Having reviewed your article, I decided to make such a machine for myself. I wanted to ask you if the vector files for cutting plywood are relevant? 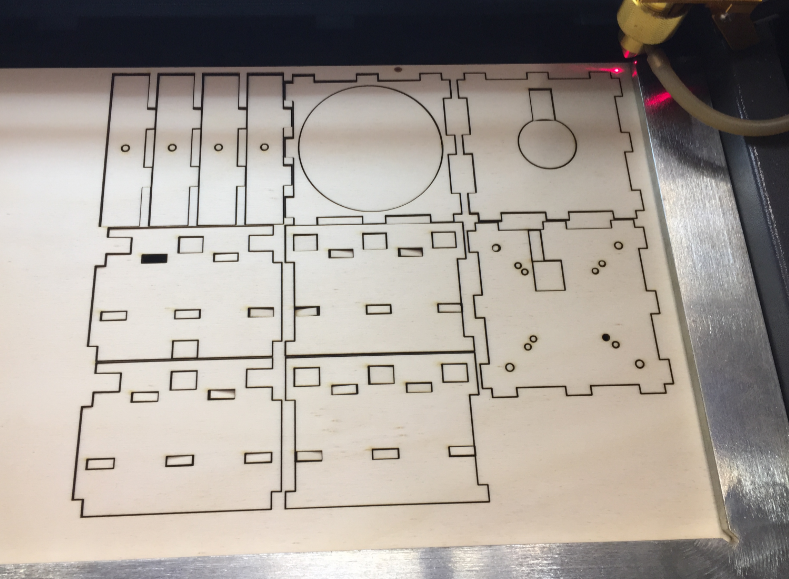 I plan to make all of the plywood as you and looking at the files, I noticed that in some details there are uneven contours. 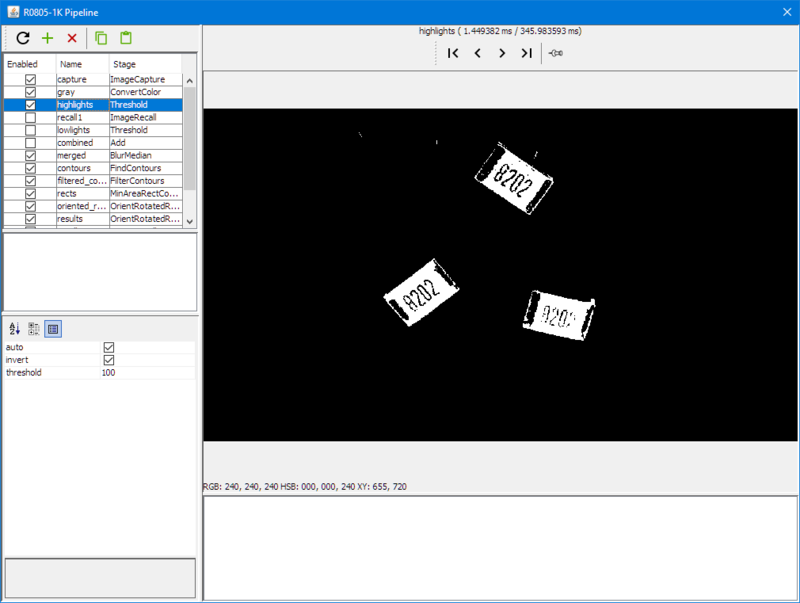 Namely in the OpenPnP_Head file. Maybe if you have the latest drawings, please send me. Thanks! Good luck to you in such projects. Thank you! 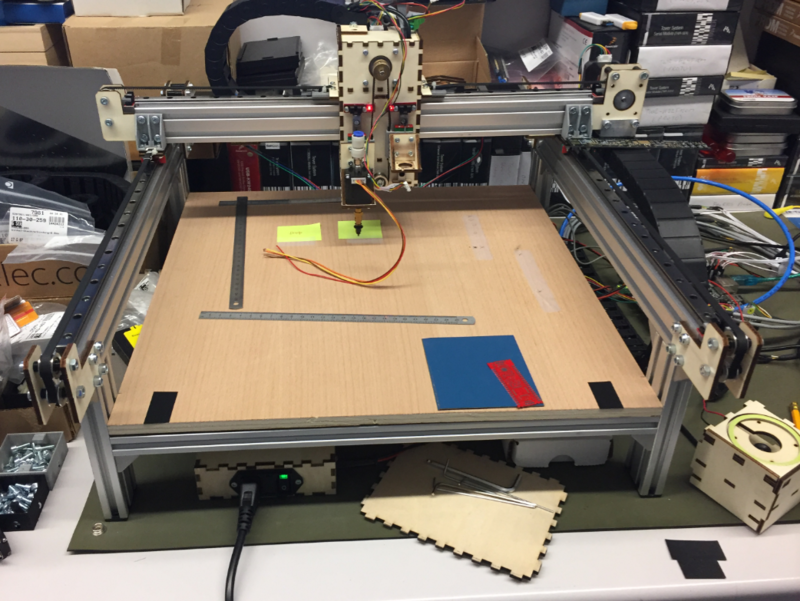 The plywood files are the latest on GitHub. 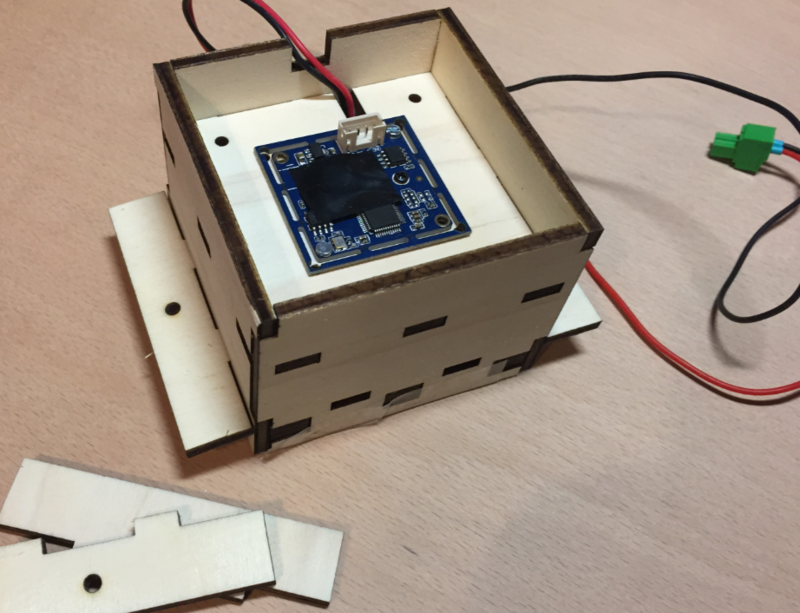 But be warned: using plywood is good for a prototype to check if things are working to together. But having the final machine with plywood is not a good thing, unless you are not aiming for a precision machine. 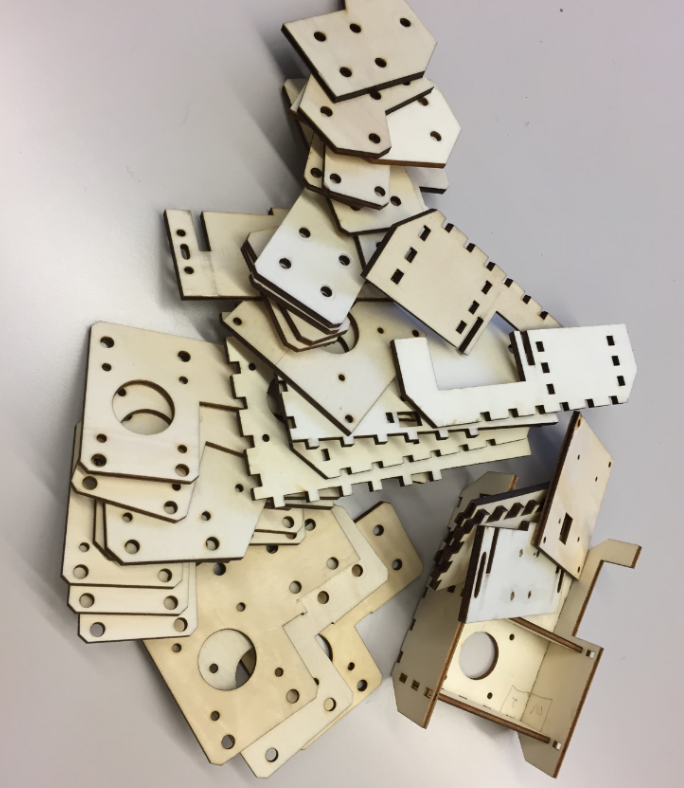 You only might be able to place 0805 passive parts that way, but not 0603, because the wood is expanding and changing depending on temperature and humidity. And it is not very rigid too. I will change it over time, but first I want to run on plywood details. But I noticed outlines incomprehensible to me there. There is a screenshot in the link. I cannot access that screenshot. The files are .svg files you can open and use with Inkscape. You have to open the files in Inkscape: Only the blue and red color lines are the ones to cut. 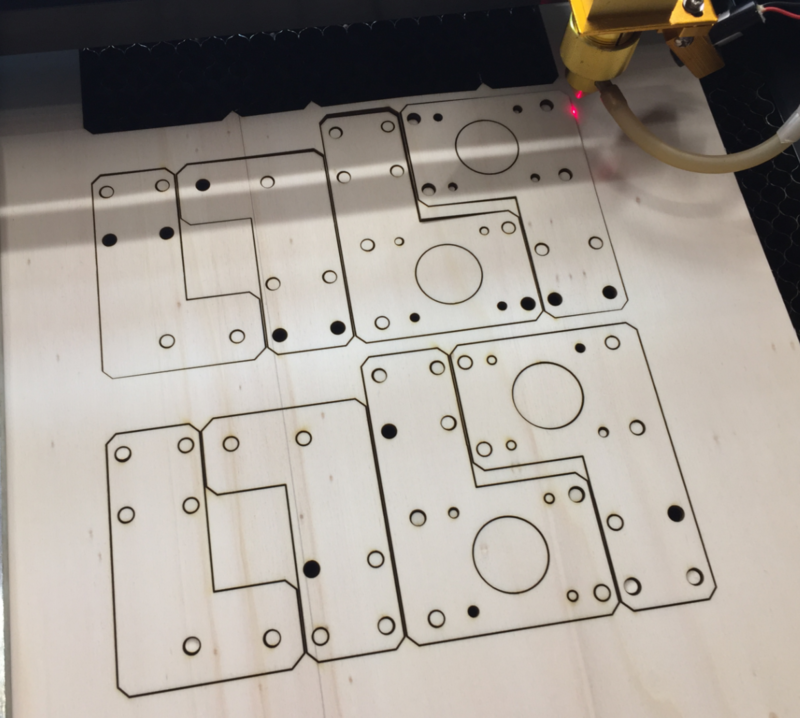 Other lines in other colors have to be ignored in the Laser cutter. You have to adapt these in Inkscape. Some lines might not be 100% perpendicular, but this is not an issue (or you can fix it in Inkscape). it is an enclosure for the head.